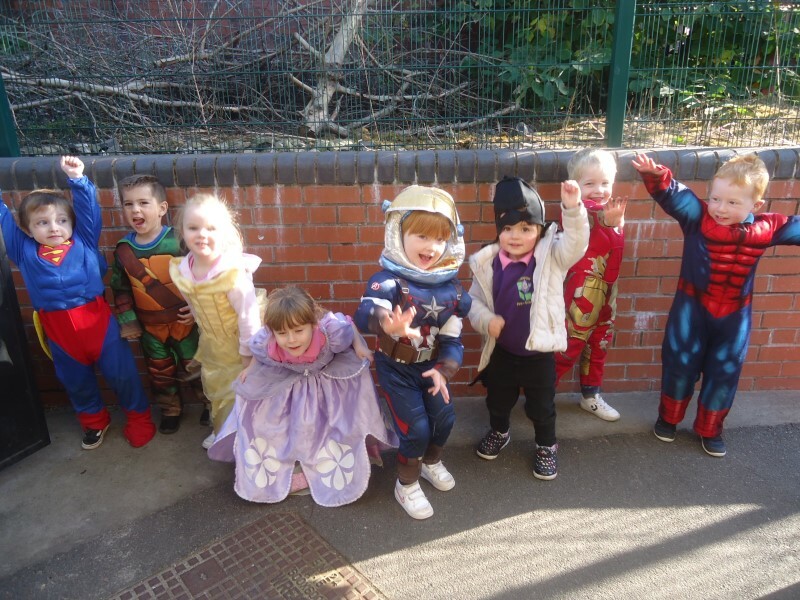 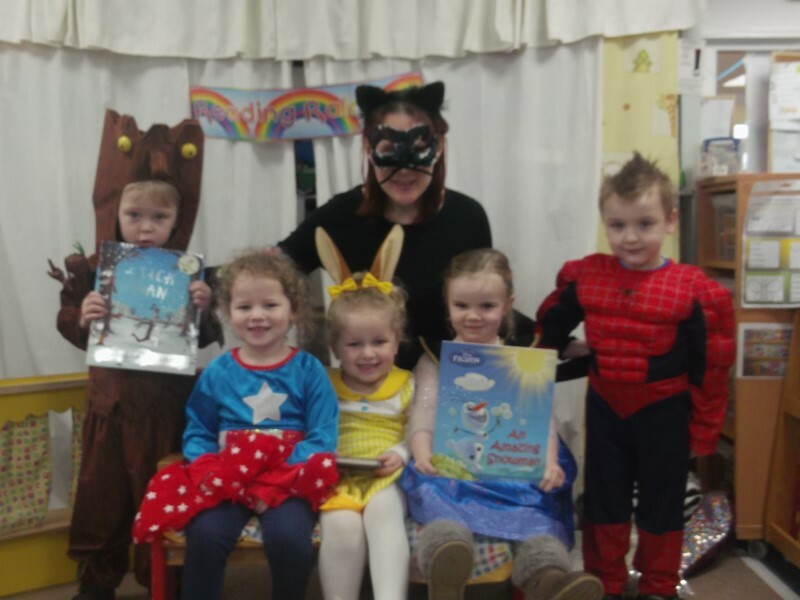 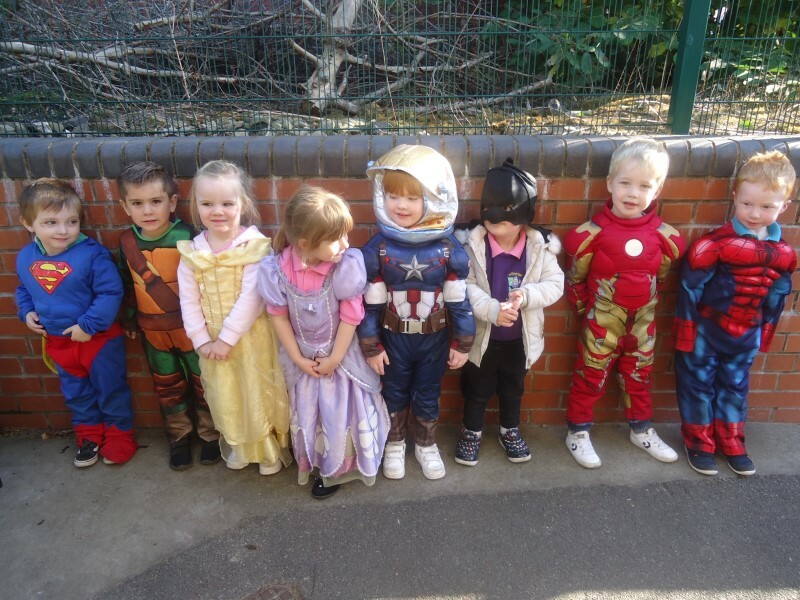 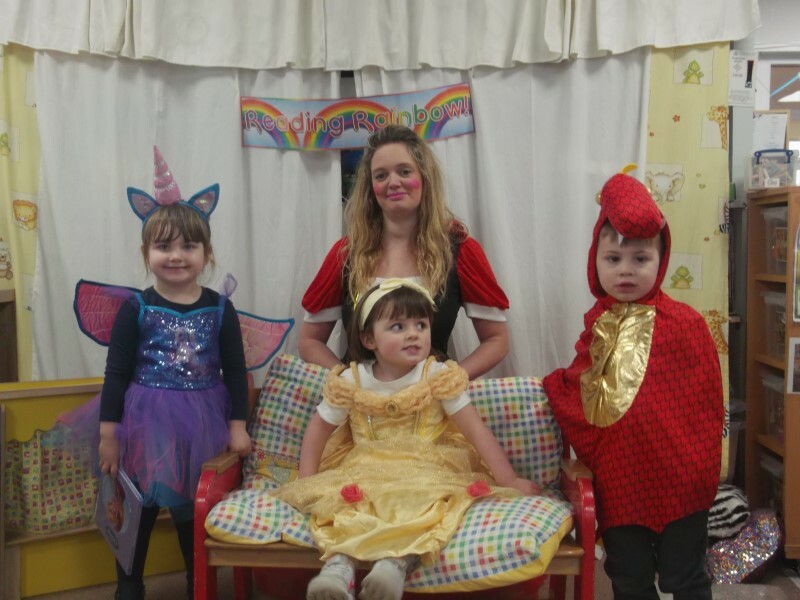 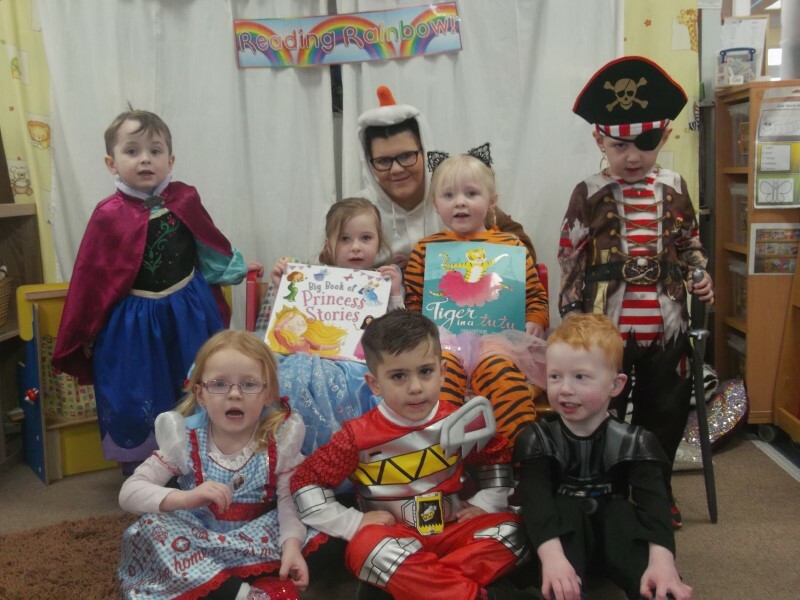 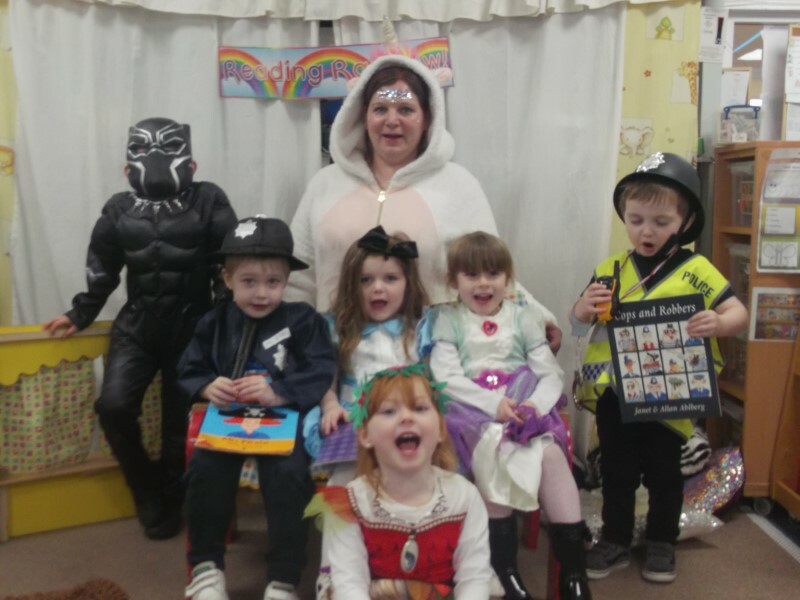 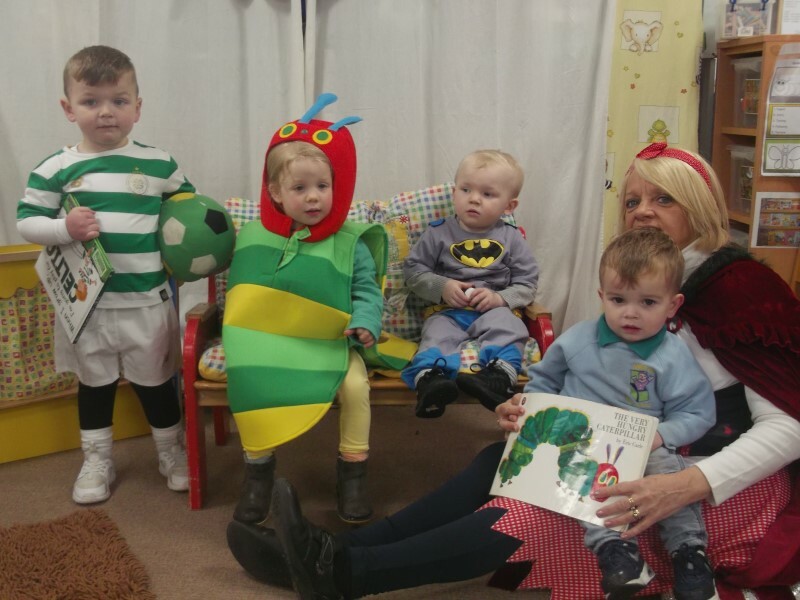 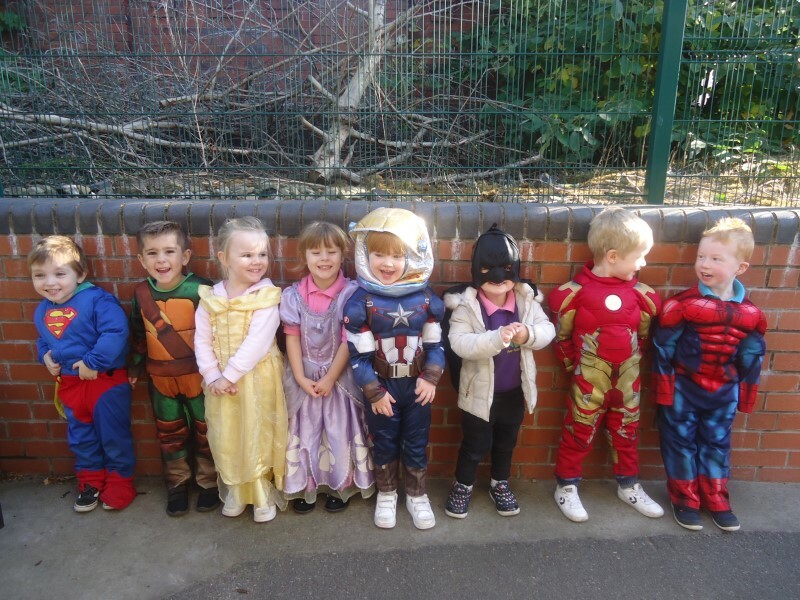 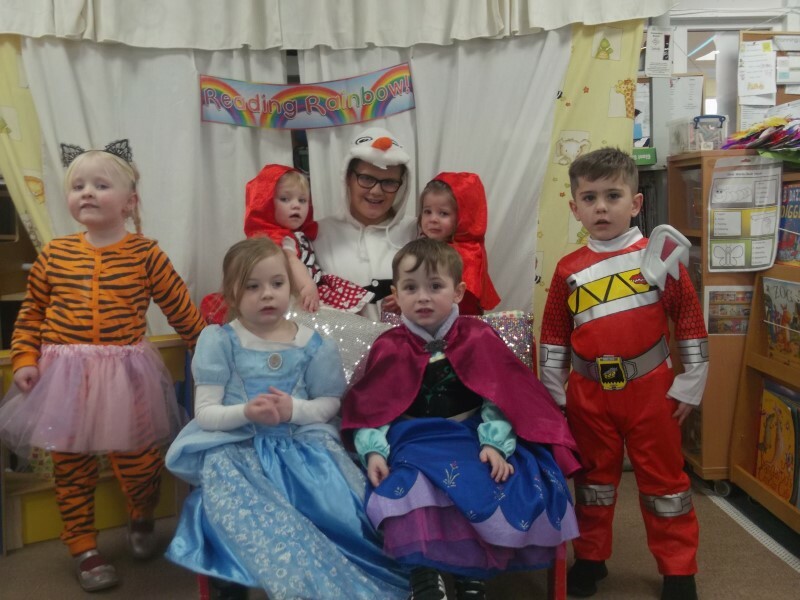 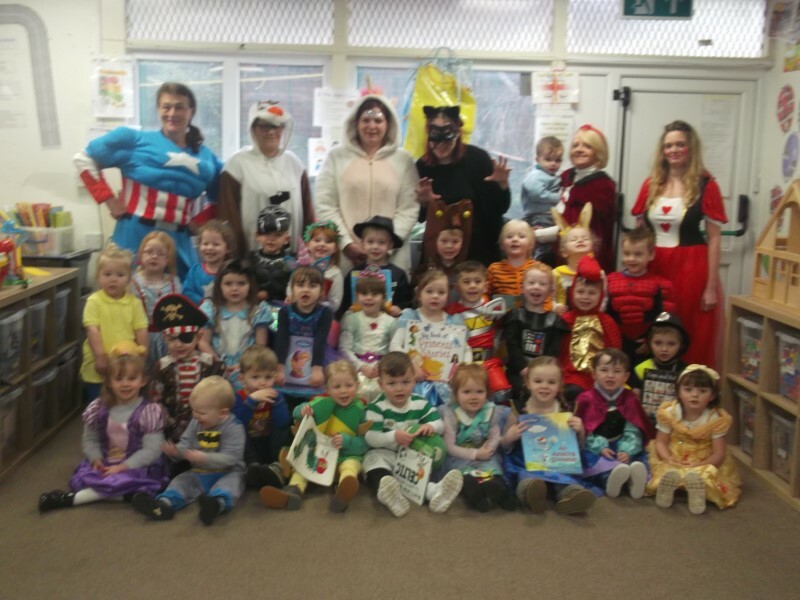 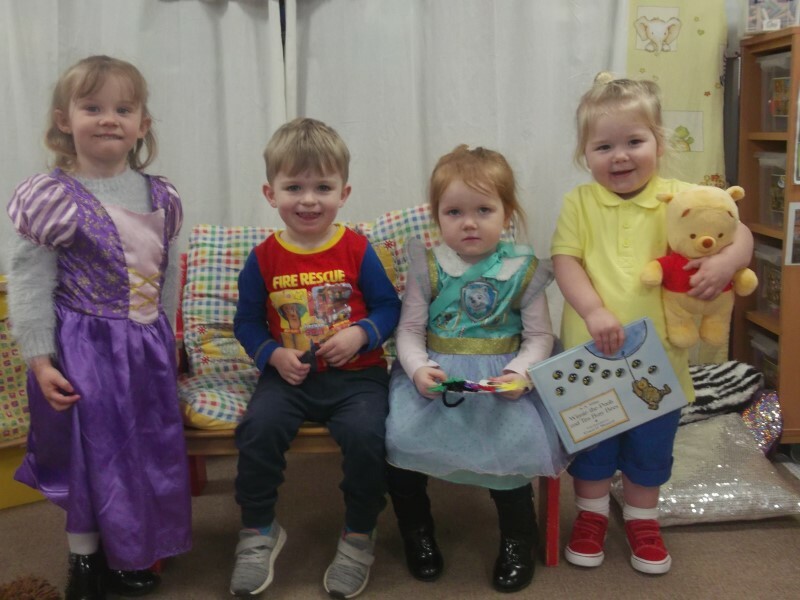 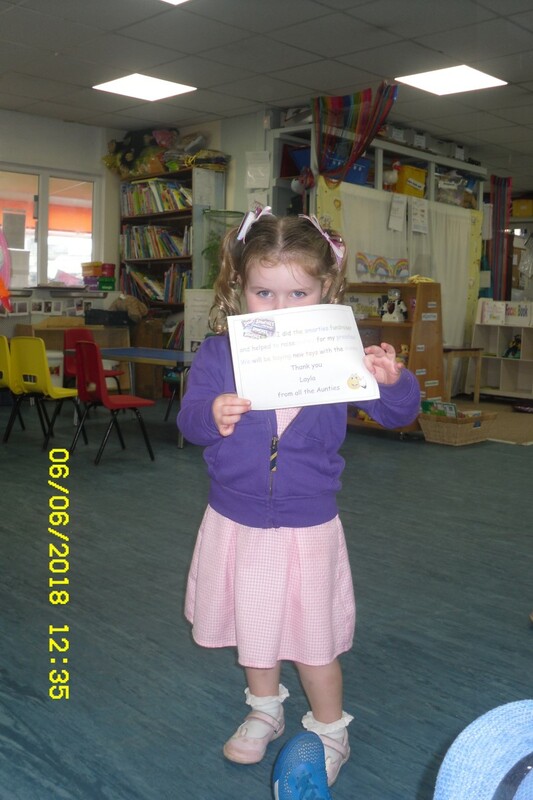 This entry was posted in Fancy dress and Parties, New and exciting activites, World Book Day on 12th March 2019 by Mel Healey. 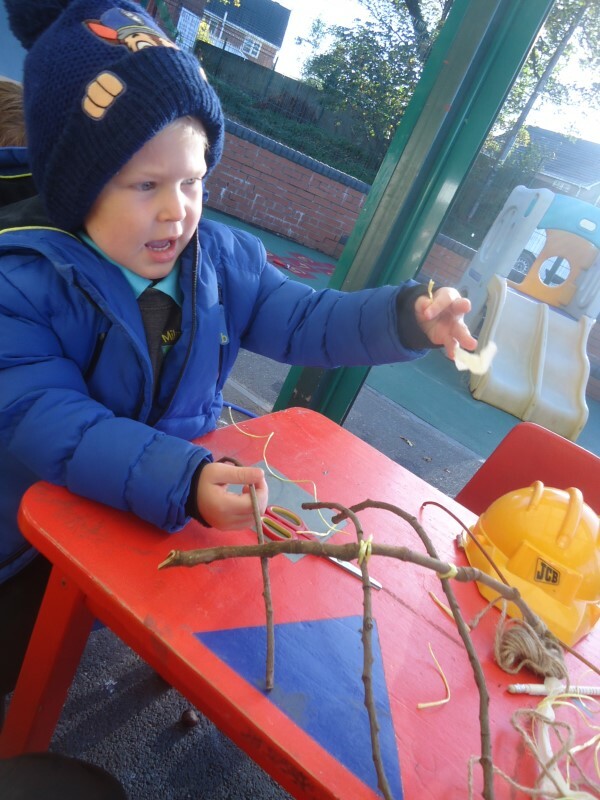 This half term we have planned lots of exciting activities and are working hard on our understanding of the world, learning new words and thoughts. 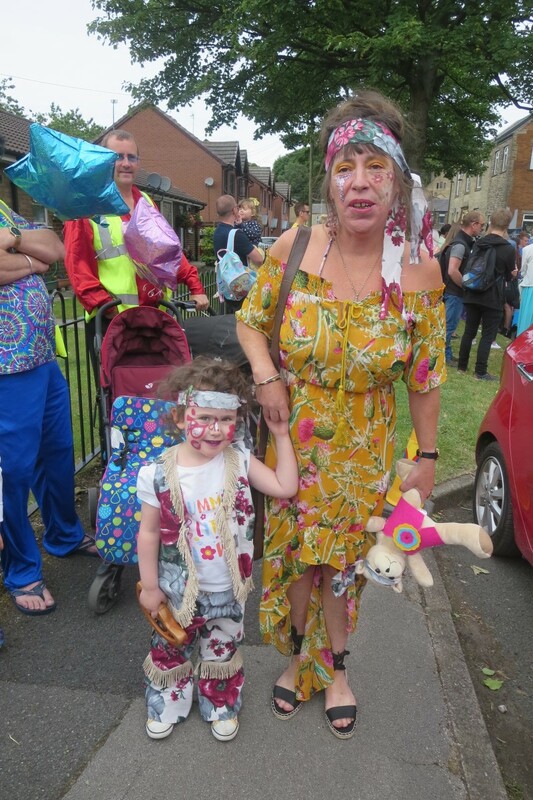 We have many themes and festivals along the way. 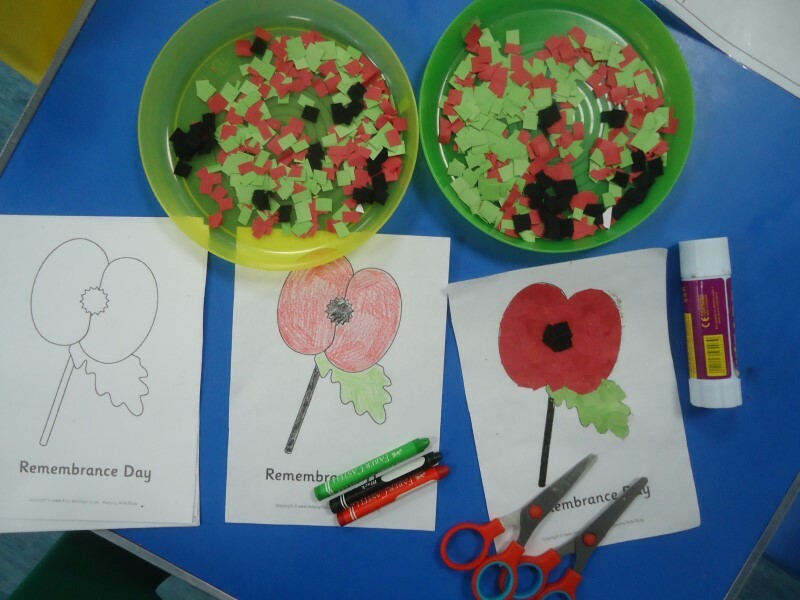 Autumn Walks, Halloween, Diwali, Remembrance to name a few. 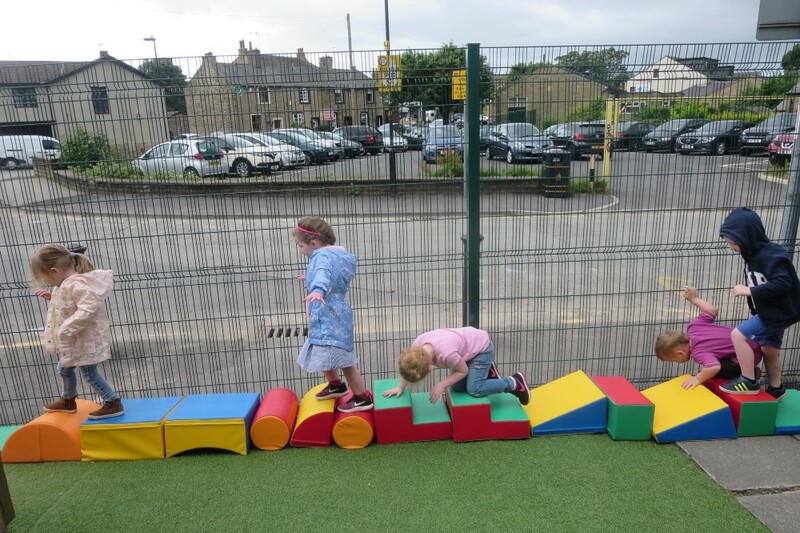 Here are a few pictures of what we have been up to during our time this month. 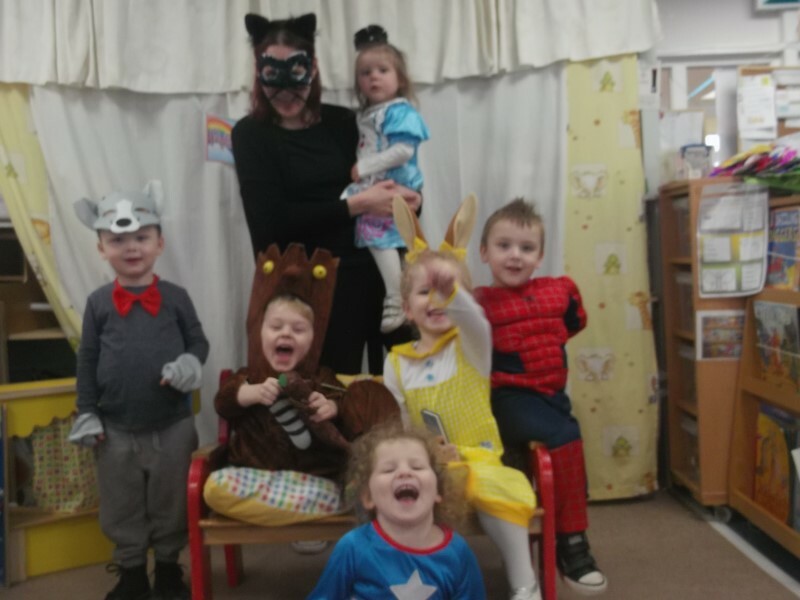 This entry was posted in Fancy dress and Parties, Half Term Updates, New and exciting activites on 8th November 2018 by Mel Healey. 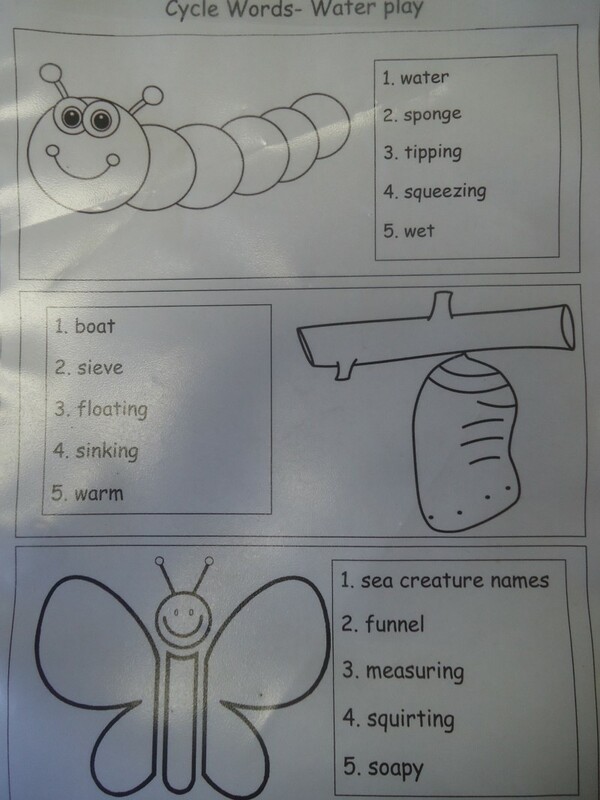 These are the new cycle words for our learning areas! 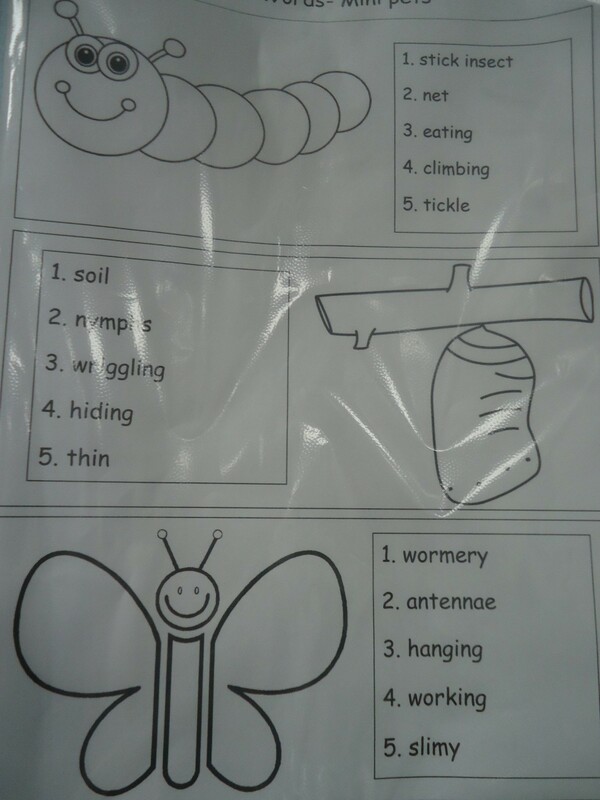 We will be encouraging children’s speech and play ideas by using these age appropriate words during play. 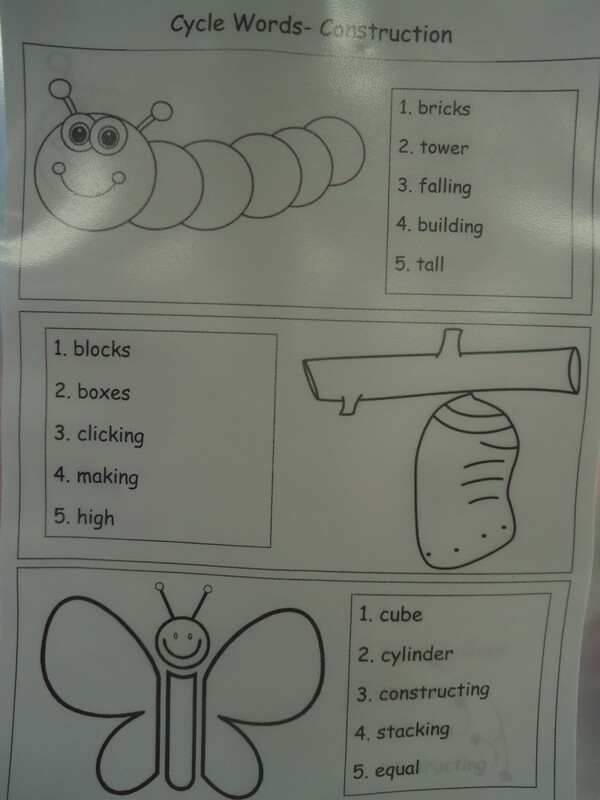 We discuss children’s use of these words and help move them through the cycle to increase their vocabulary. 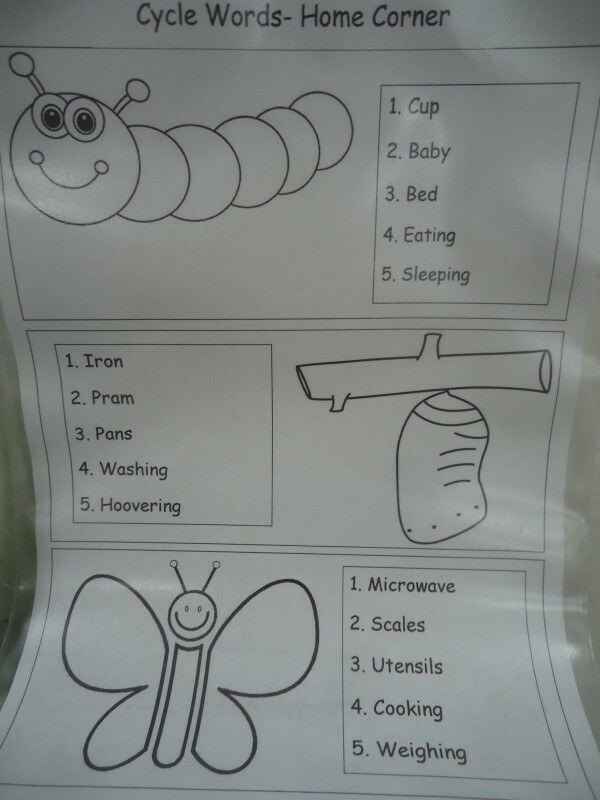 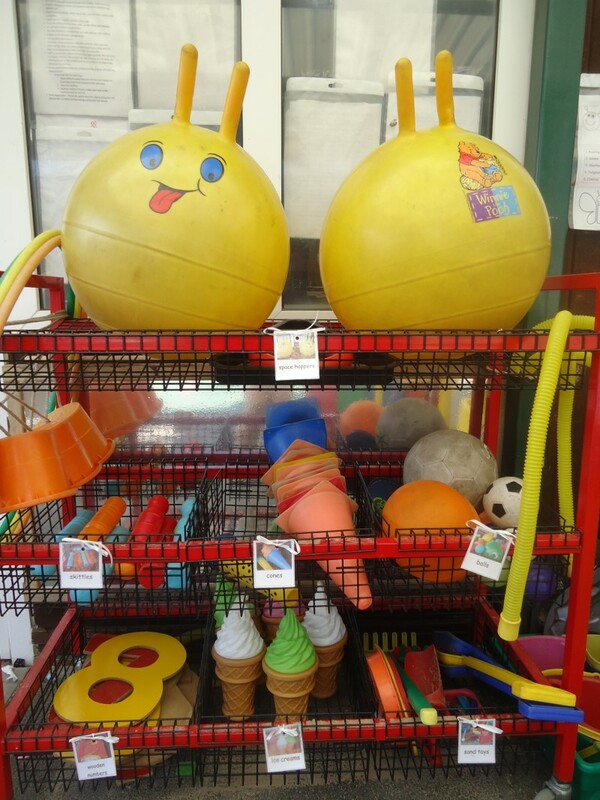 Hopefully you will find them useful and be able to use them during play and situations at home. 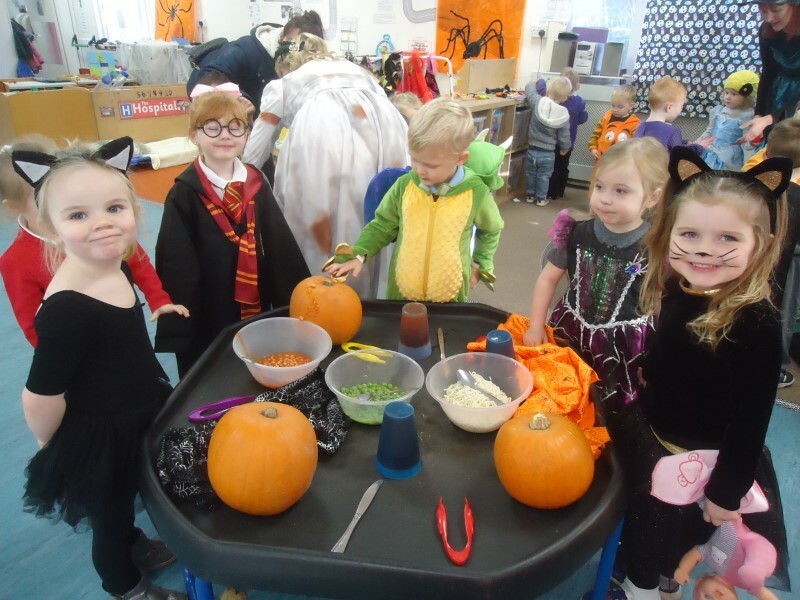 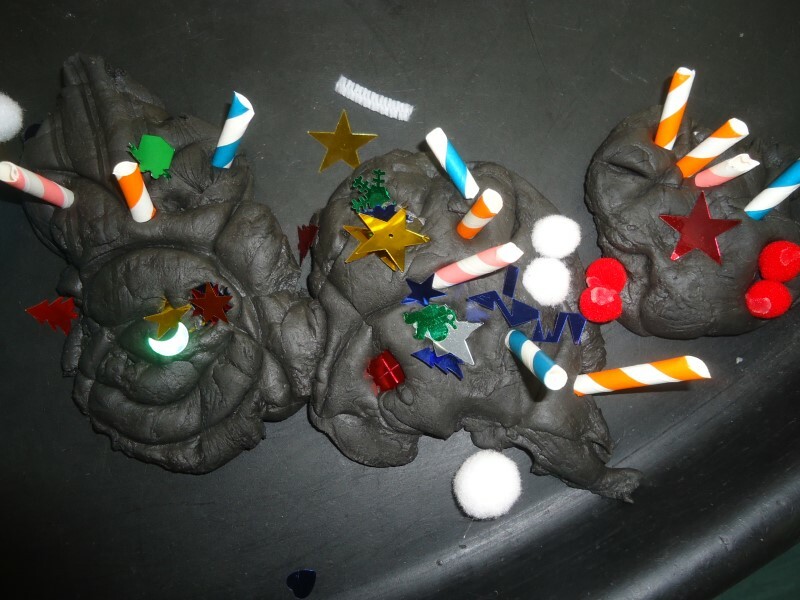 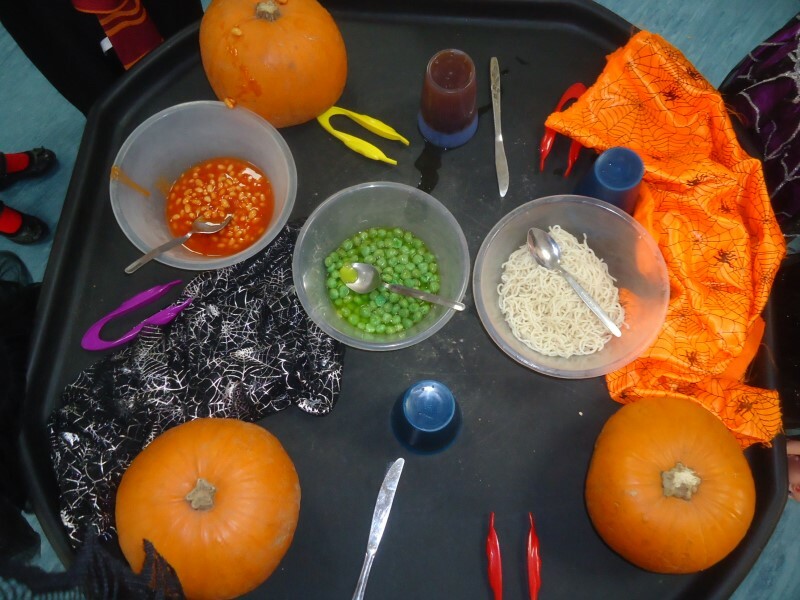 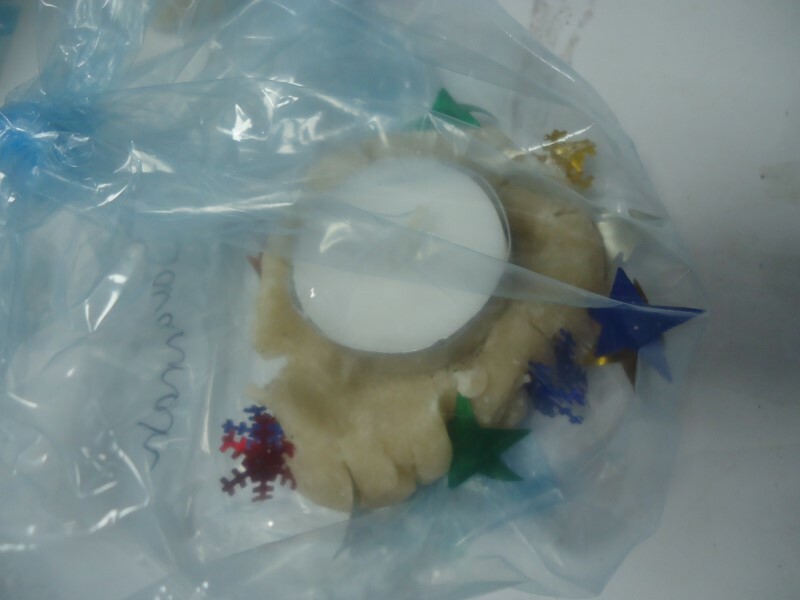 This entry was posted in Half Term Updates, Learning areas and tagged Cycle Words on 29th October 2018 by Mel Healey. 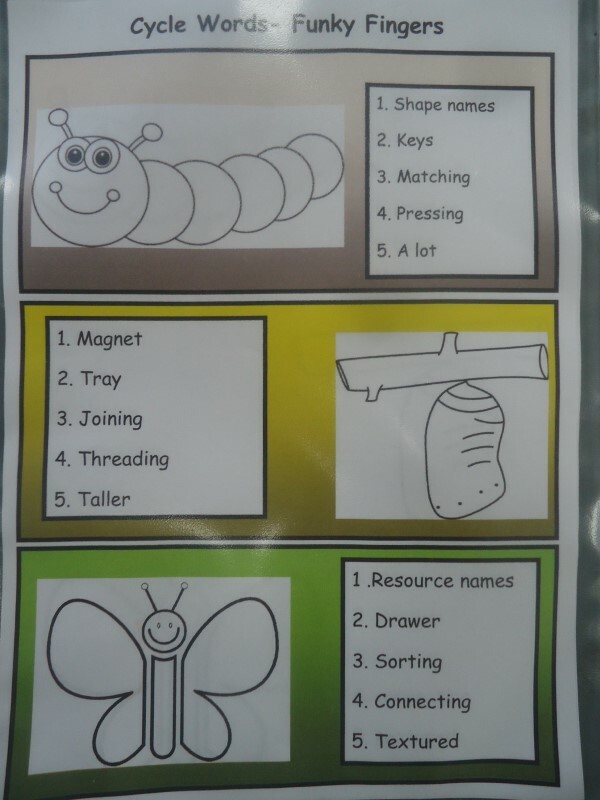 We have introduced new cycle words for the different learning areas in the setting. 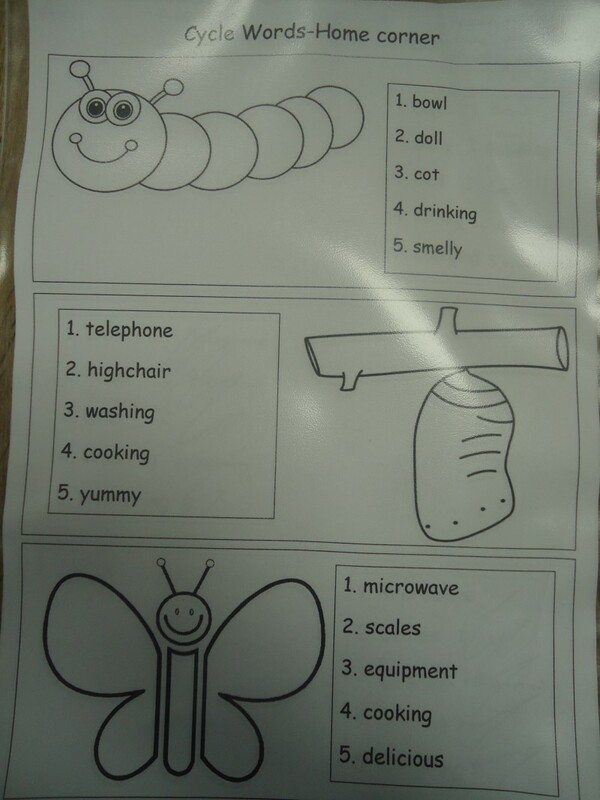 We are working towards being Communication Friendly and a large part of this is Speech and Communication development. 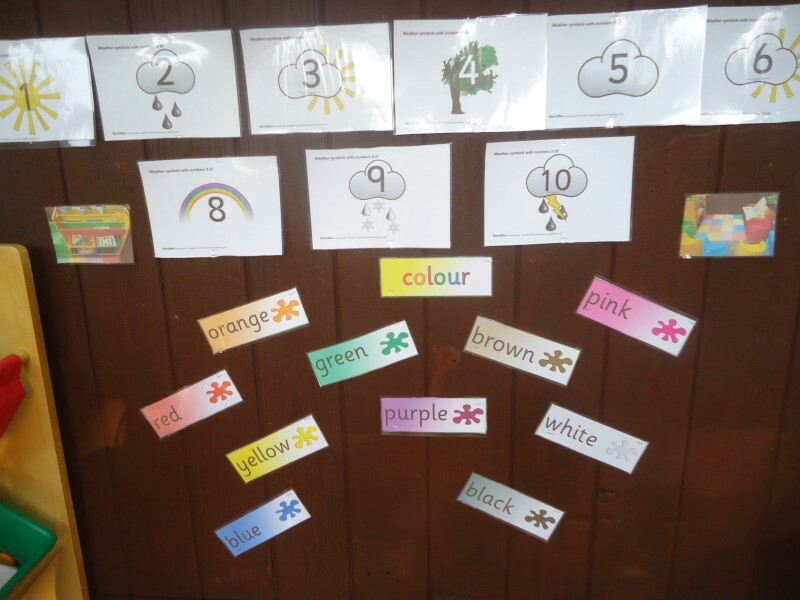 Our cycle words are split into three different levels, this is to provide a rich variety of vocabulary at age appropriate stages. 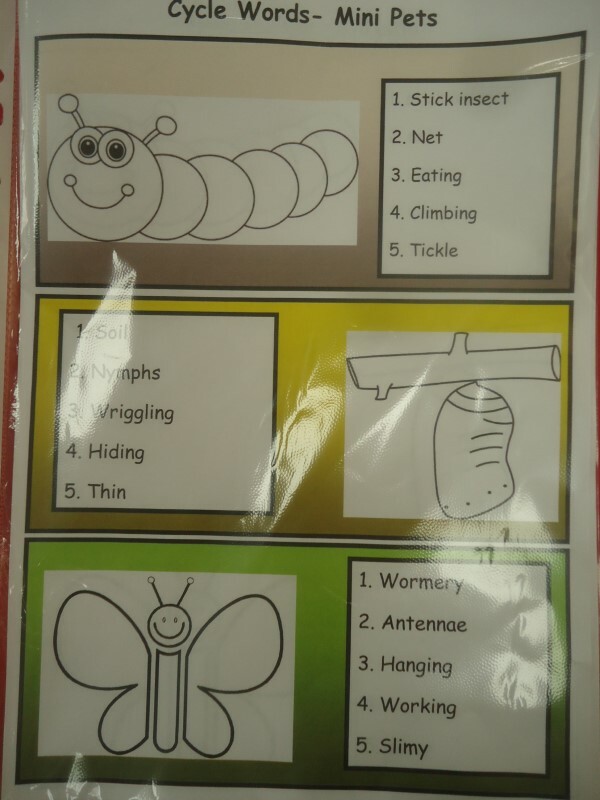 We will use these terms when playing with your child and work towards moving them through the levels and encourage them to use the words during play. 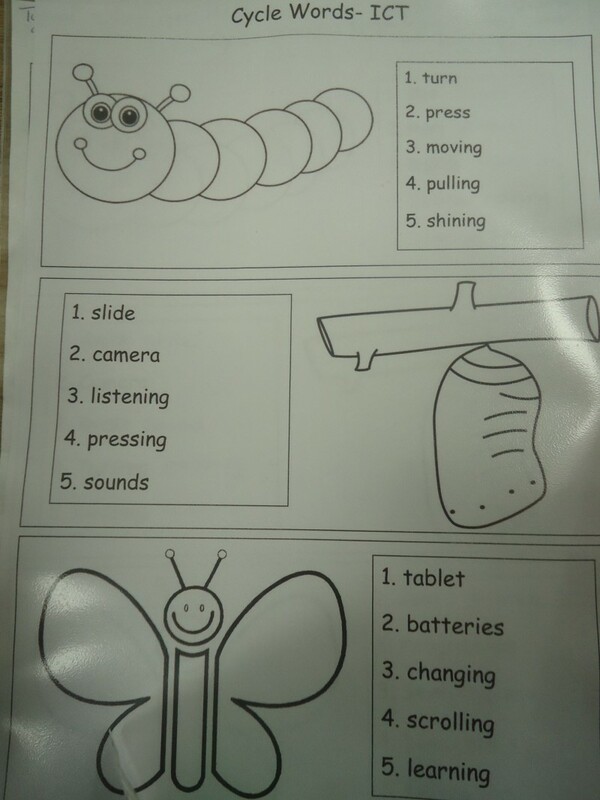 Please use these words wherever you can and apply them to everyday situations, this really will benefit your child’s Speech and Communication. 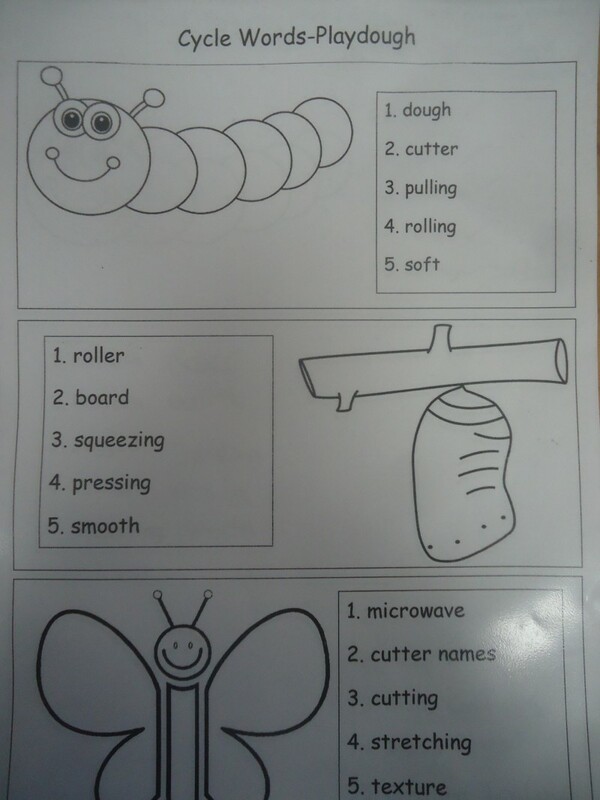 We will be using focus words each week, when new activities are planned to encourage further development of vocabulary. 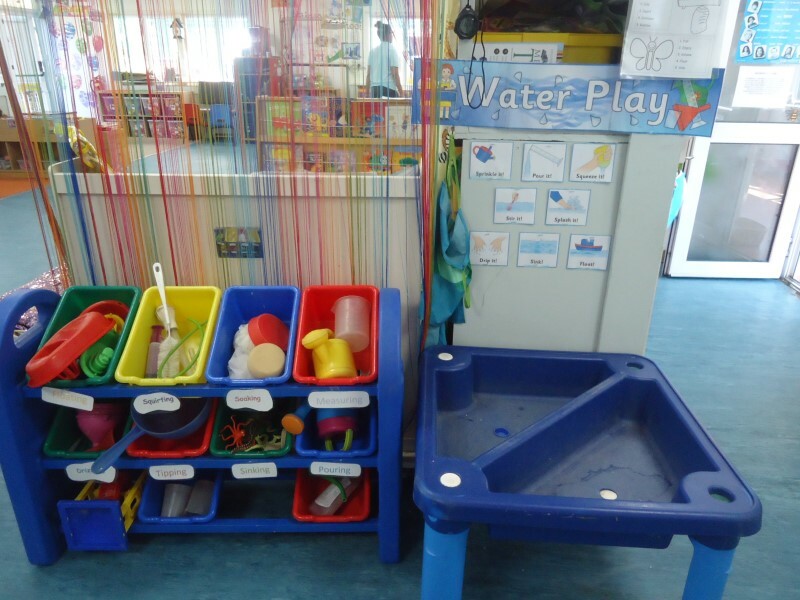 Please keep checking this as these will be topic related and help you to understand what your child is learning about through play. 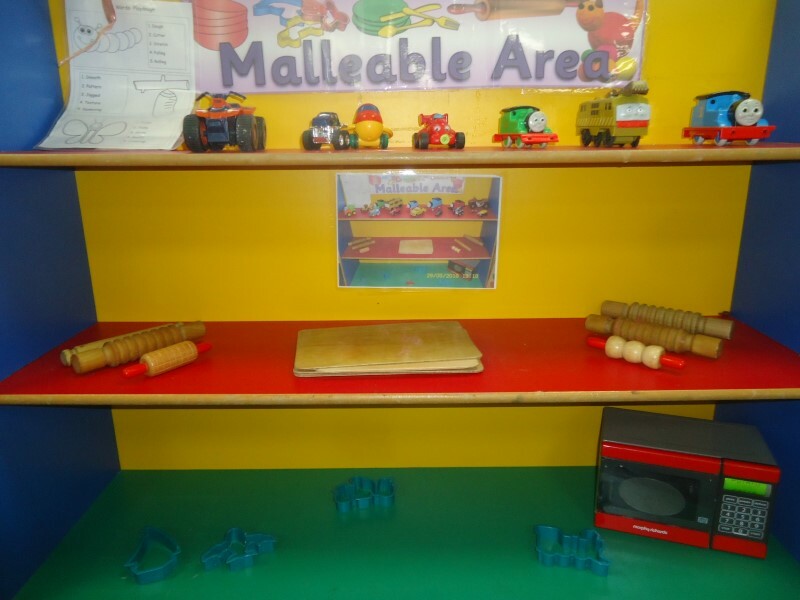 This entry was posted in Learning areas, Uncategorised on 24th September 2018 by Mel Healey. 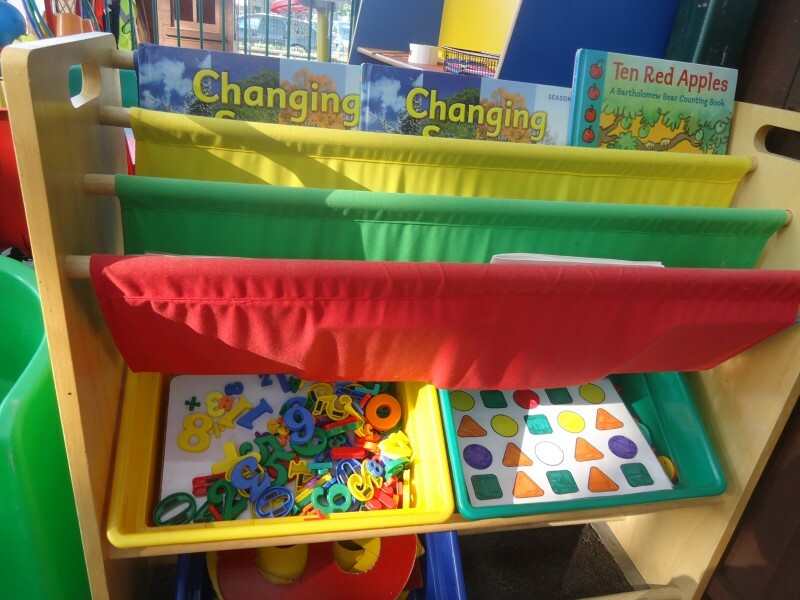 Welcome back to all our children, new and old. 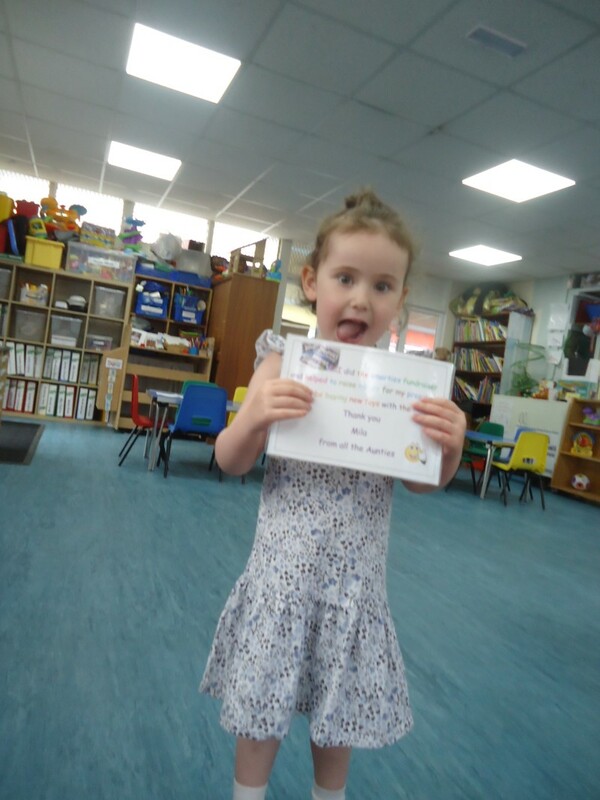 We are excited to see you all and share your stories from the summer holidays. 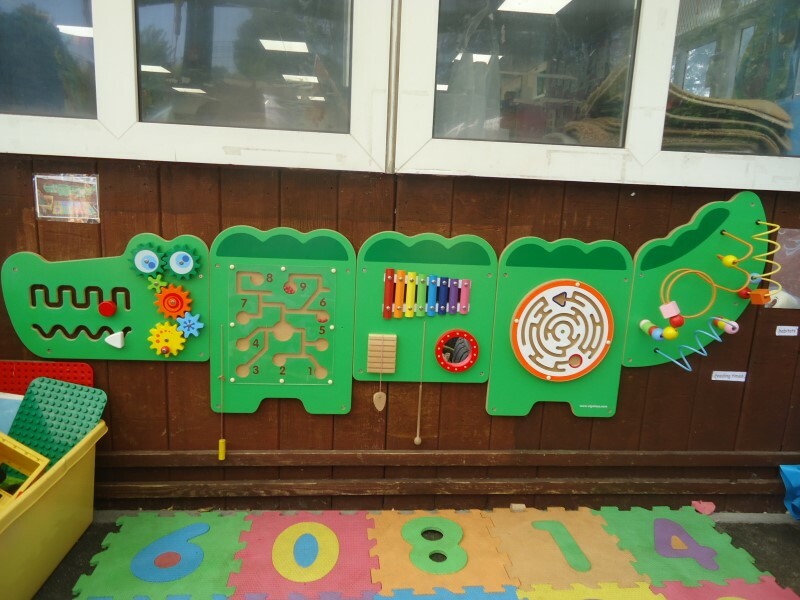 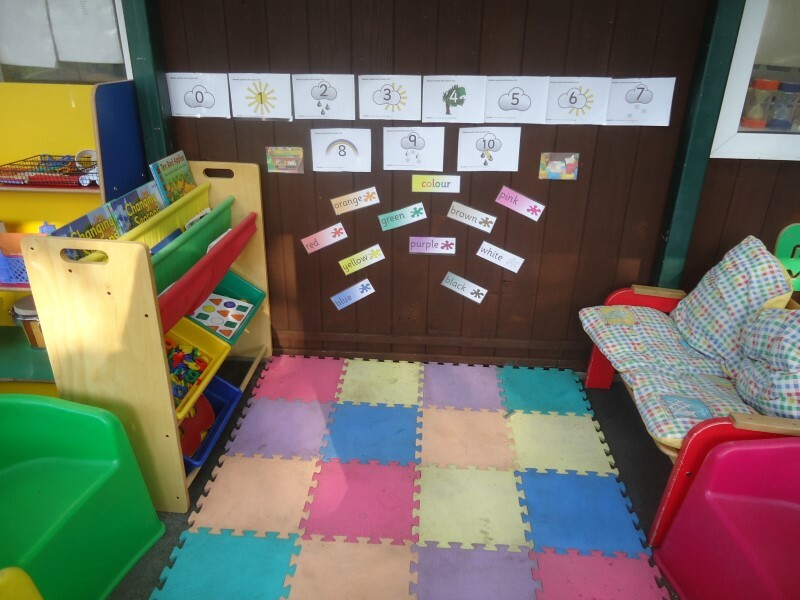 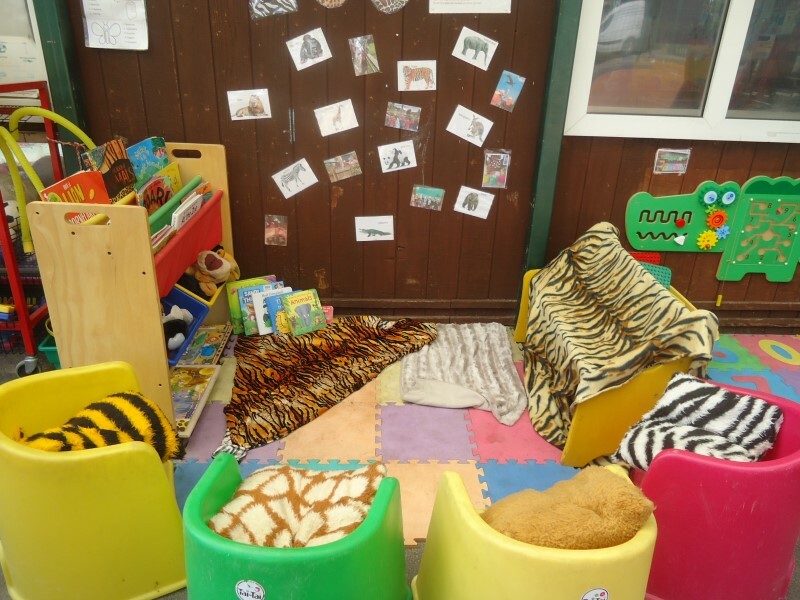 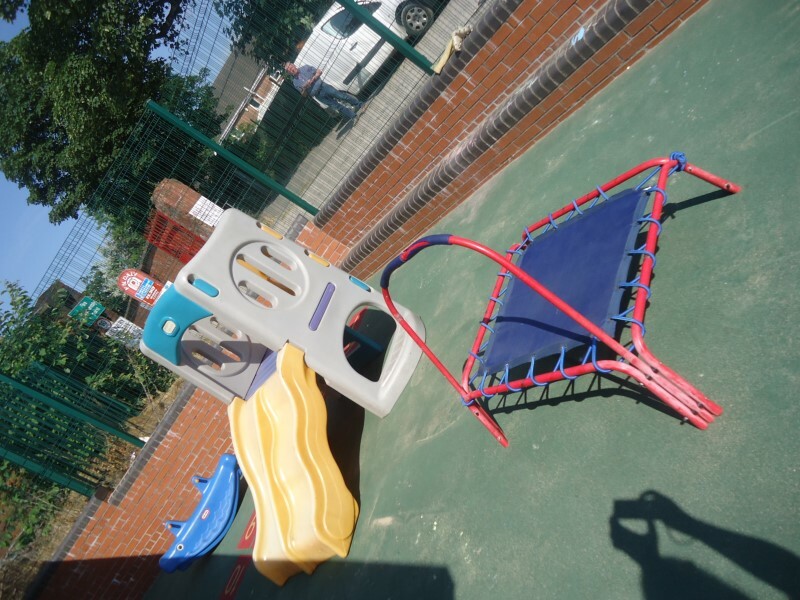 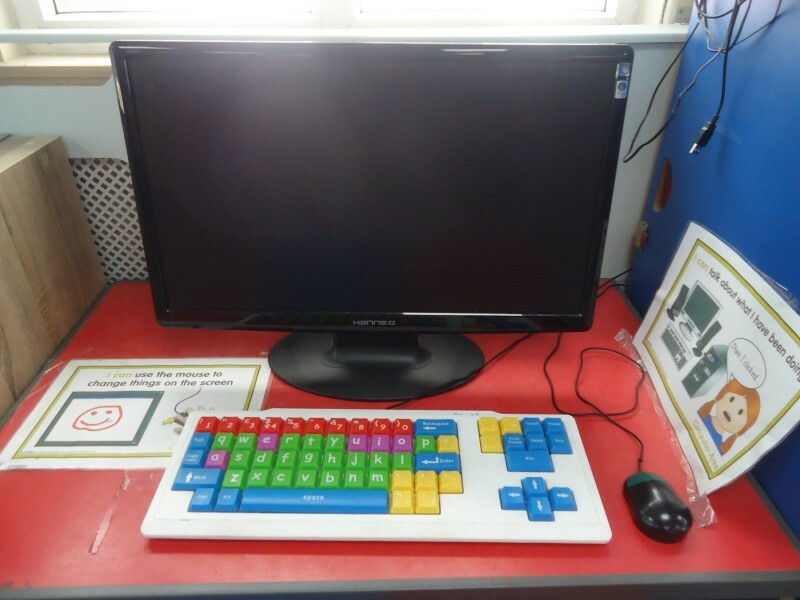 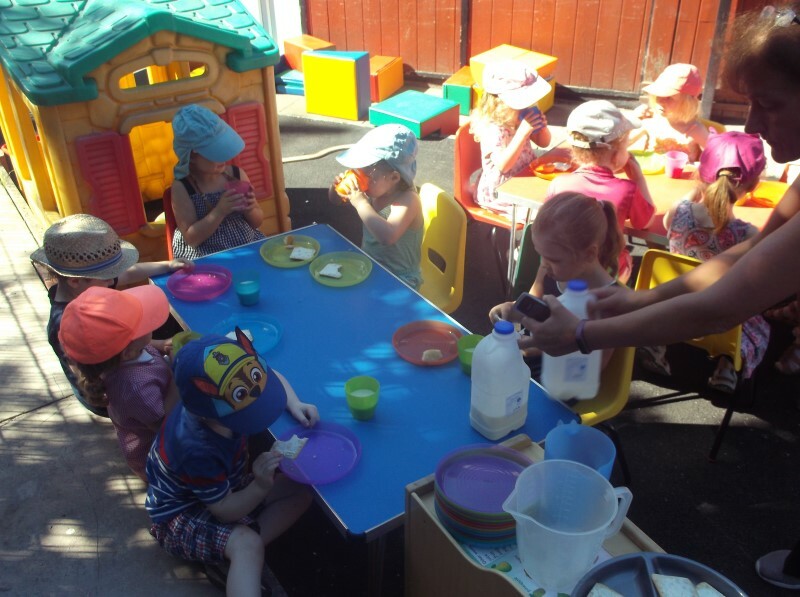 The Aunties have been working hard over the summer to provide a communication friendly setting and have taken the opportunity to provide a rich and stimulating environment that enables children to explore and investigate. 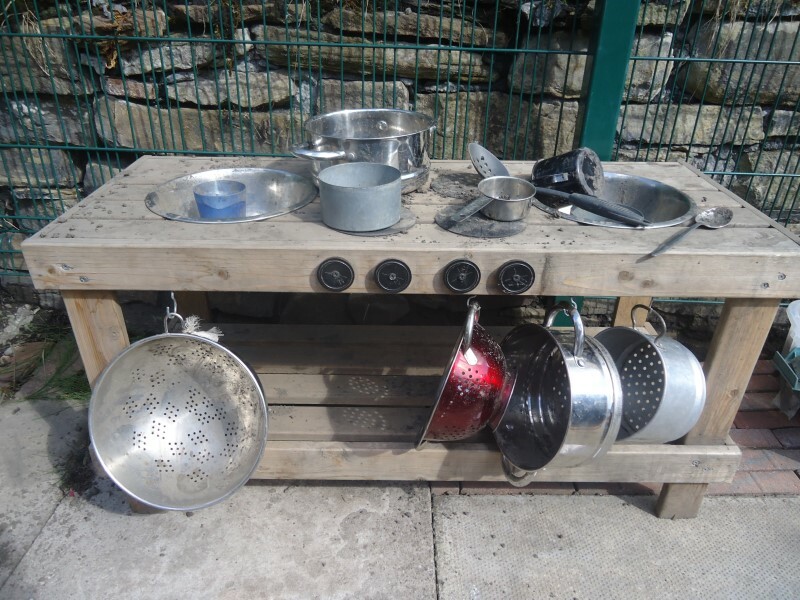 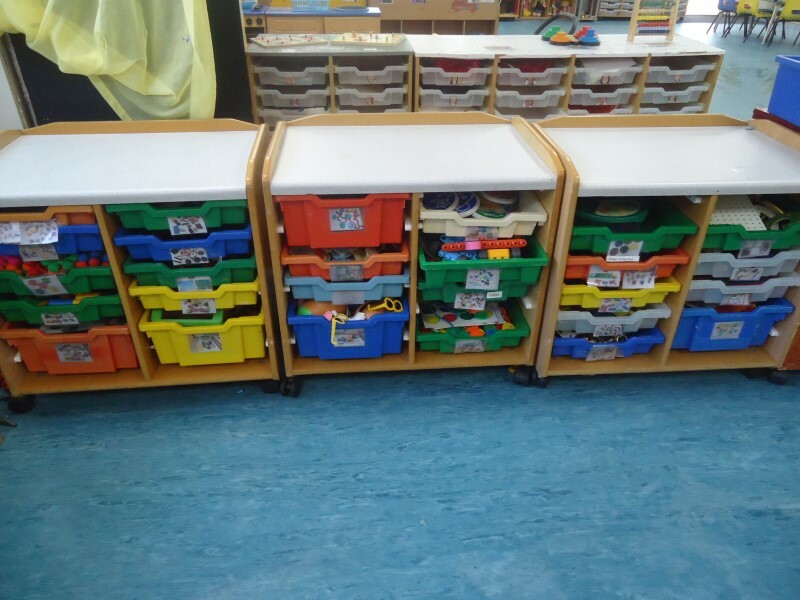 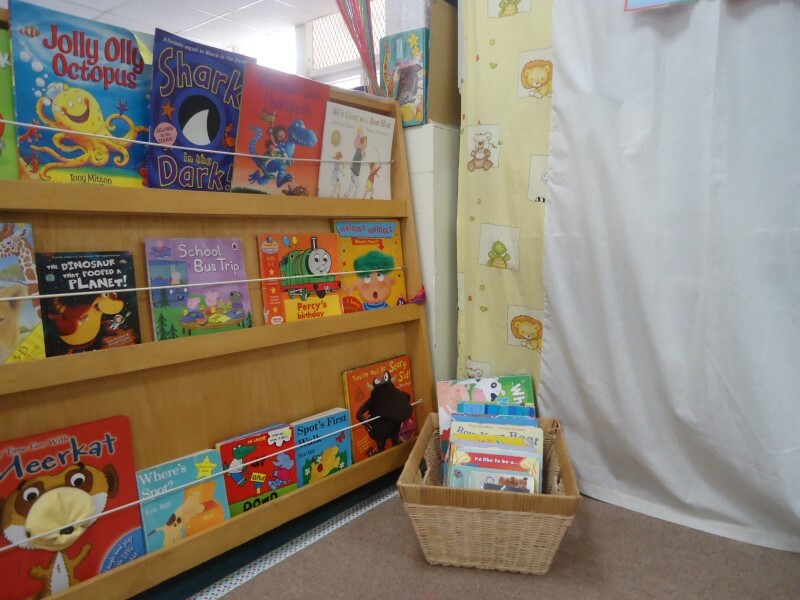 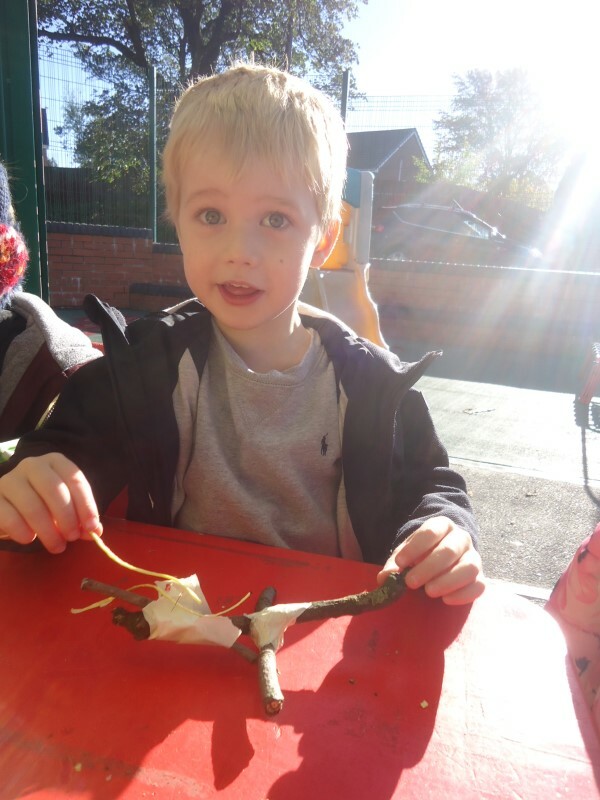 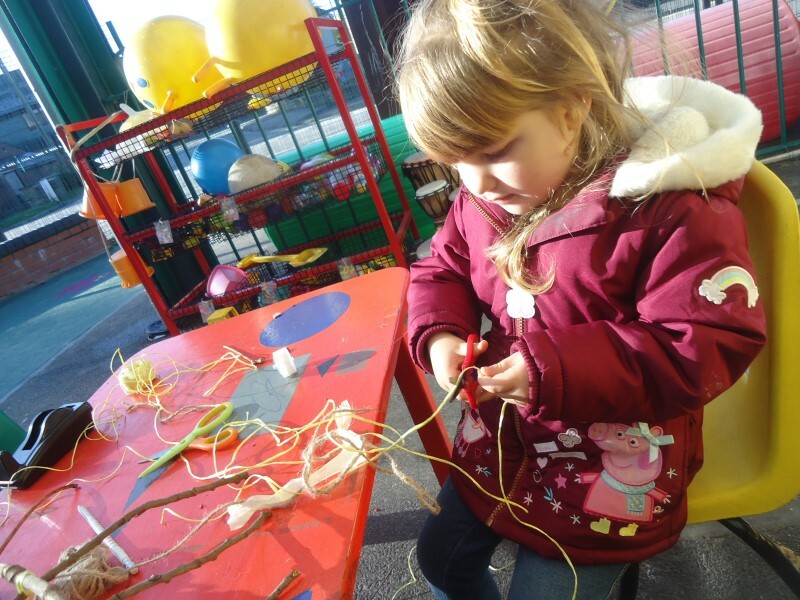 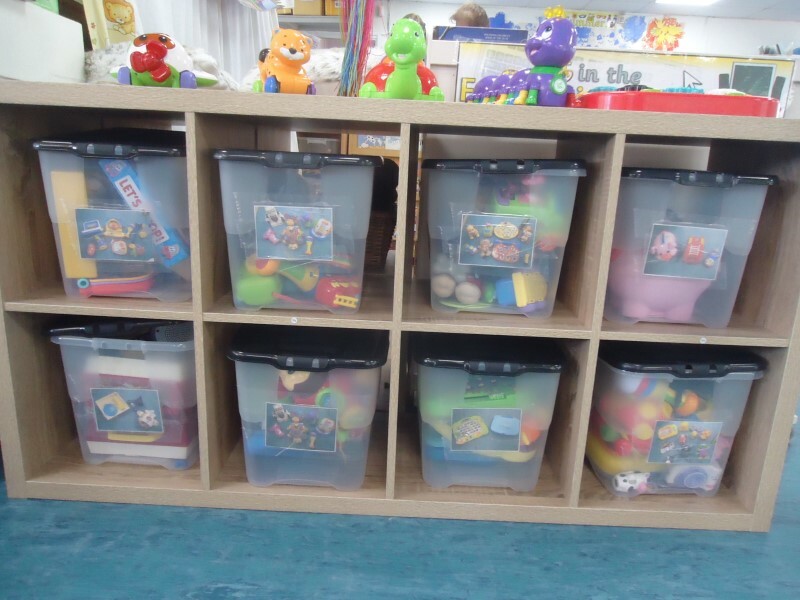 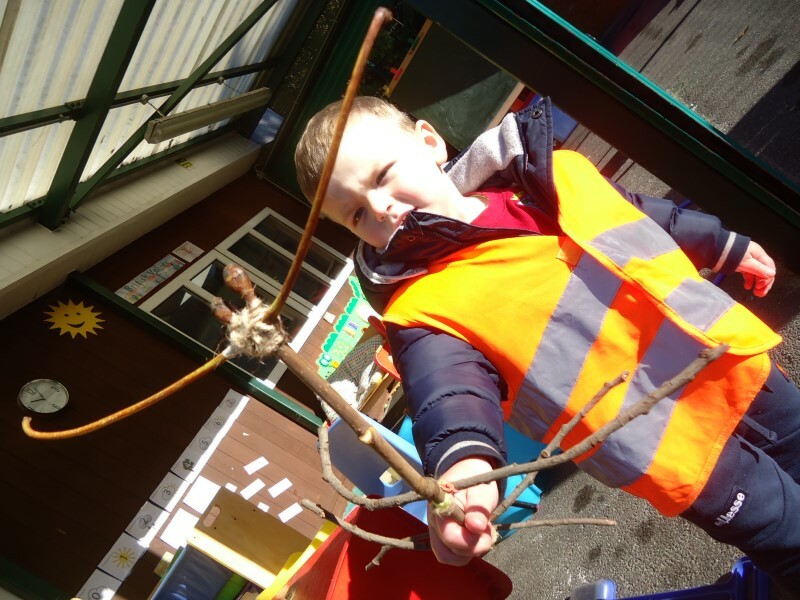 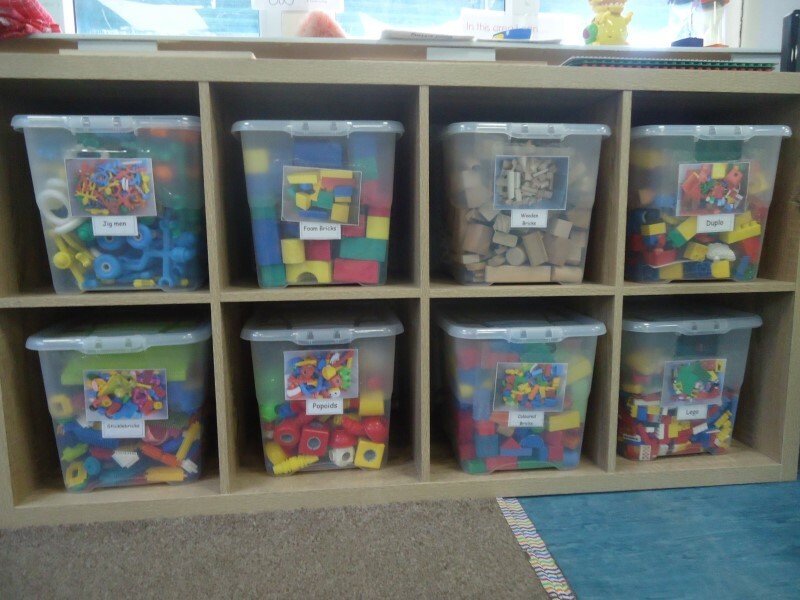 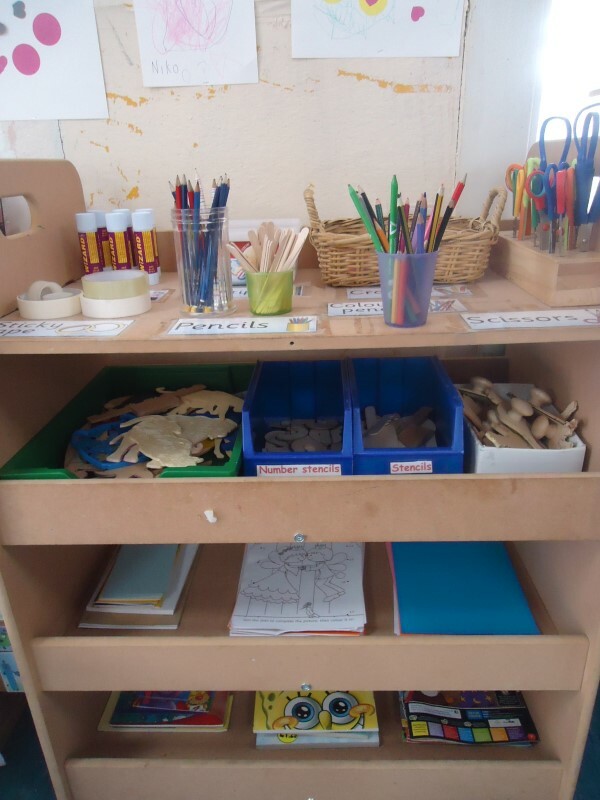 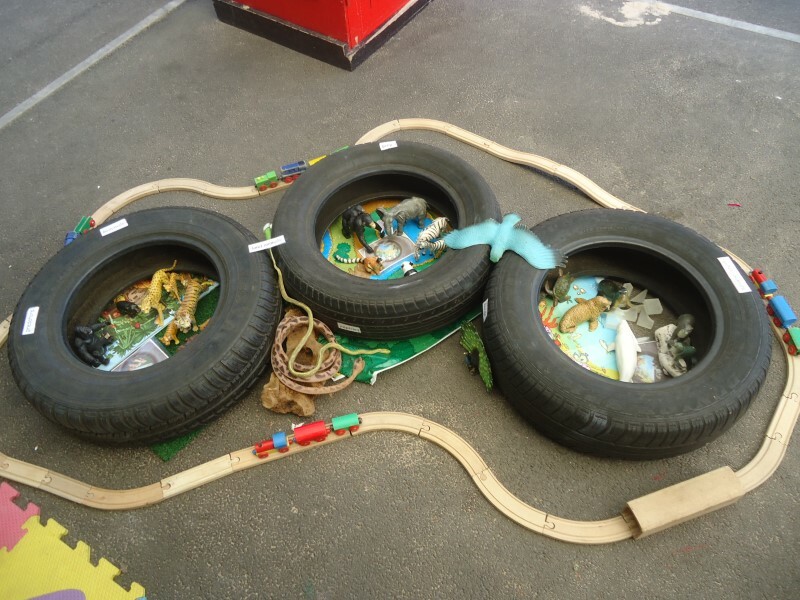 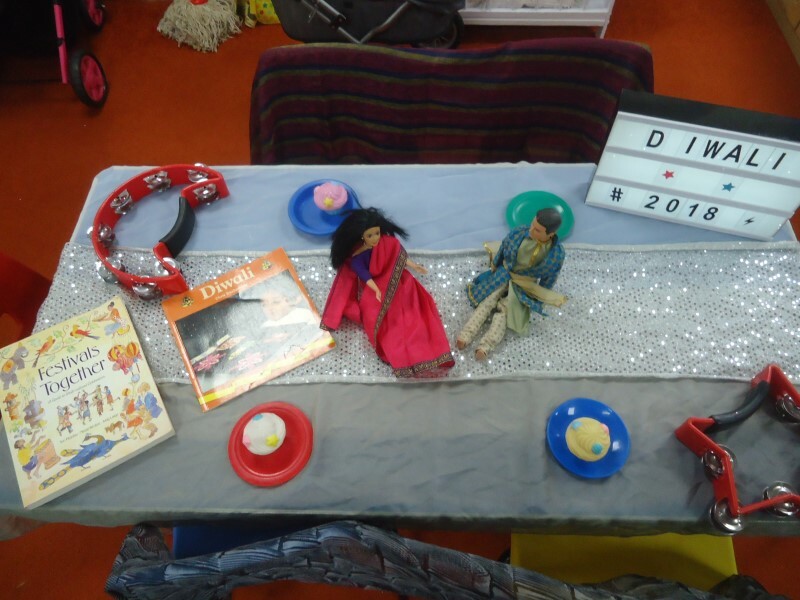 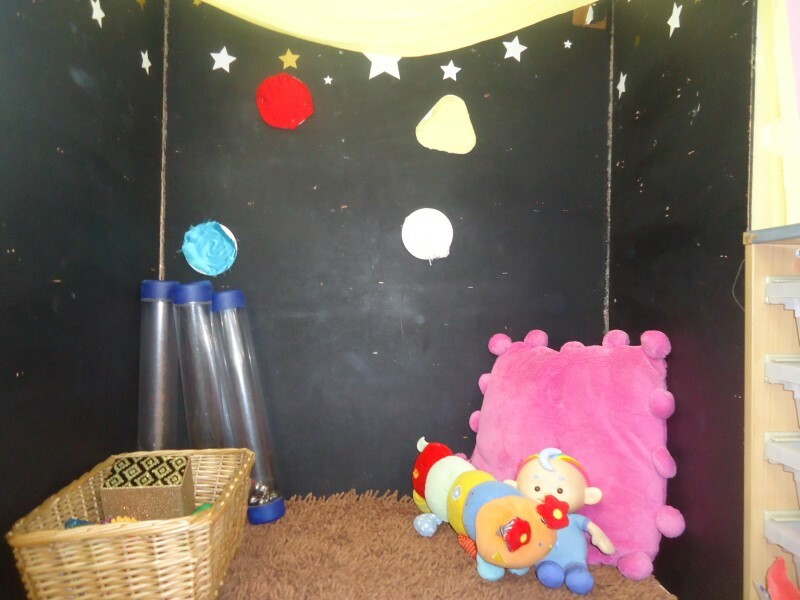 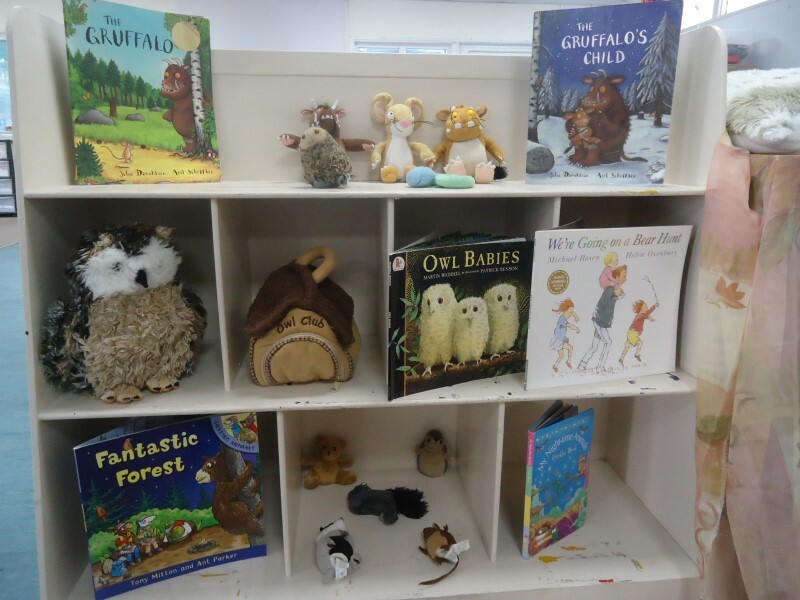 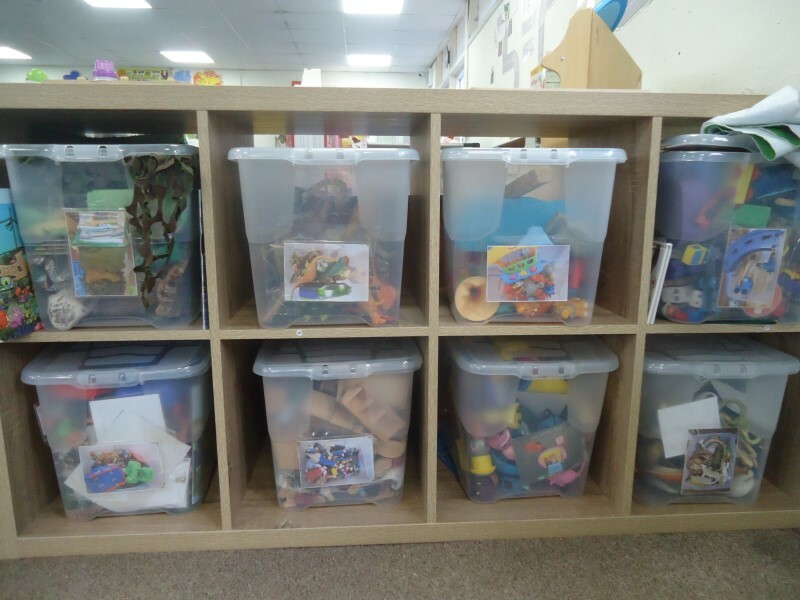 We have also added some new learning areas to our setting to ensure that we maximising the opportunity to learn in all of the areas of the Early Years Foundation Stage Curriculum. 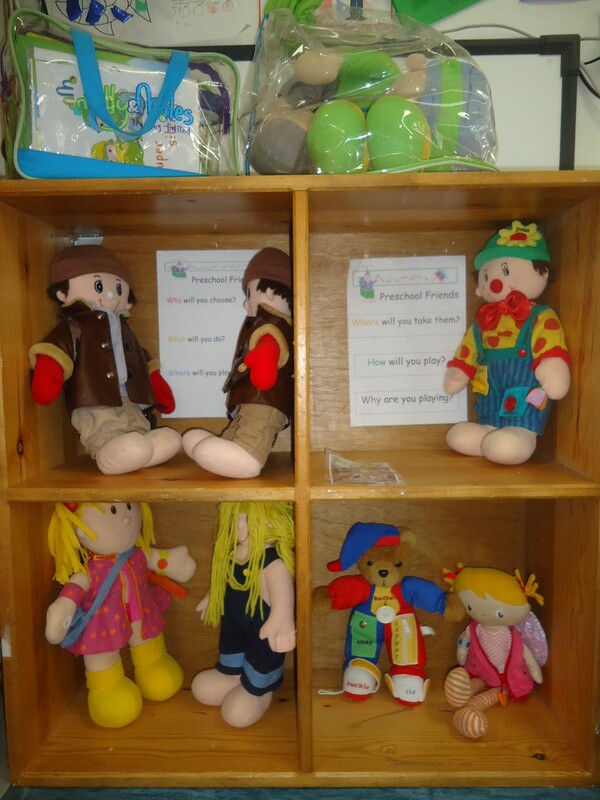 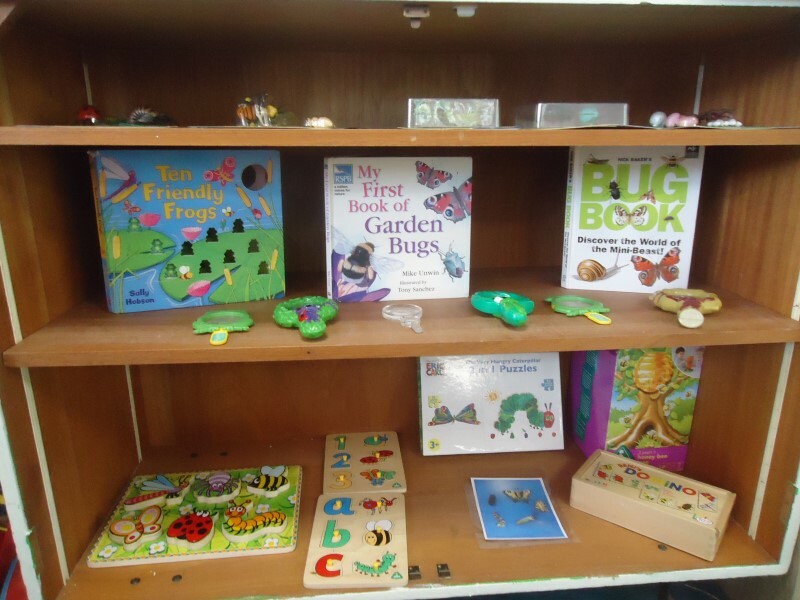 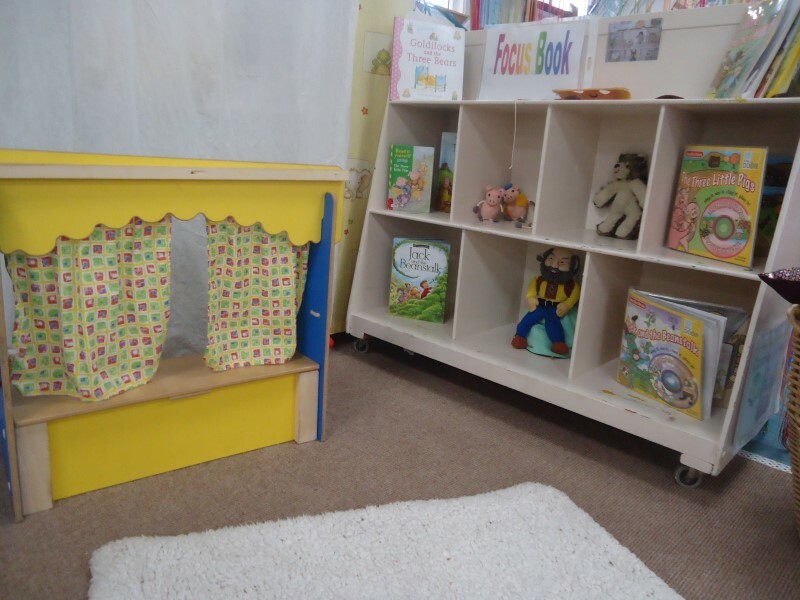 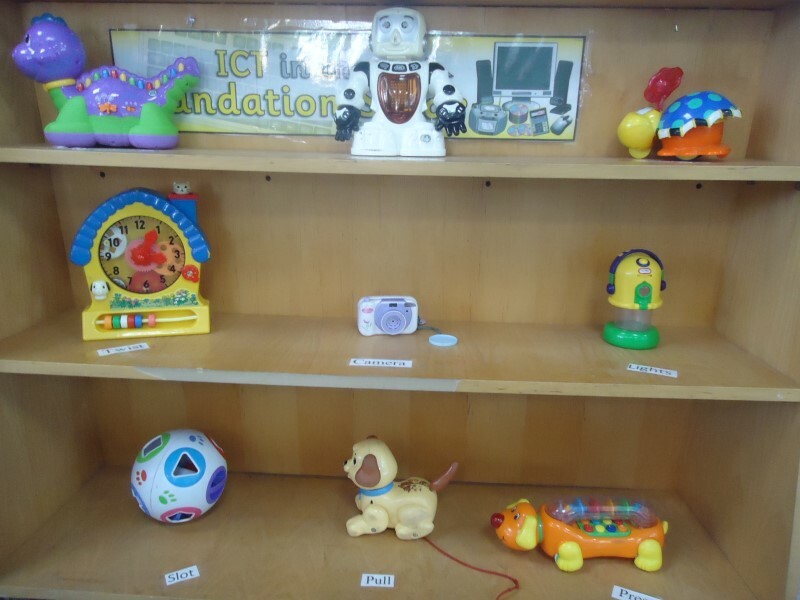 We have aimed to have a varied range of toys and age appropriate selection that are easily accessible to all children. 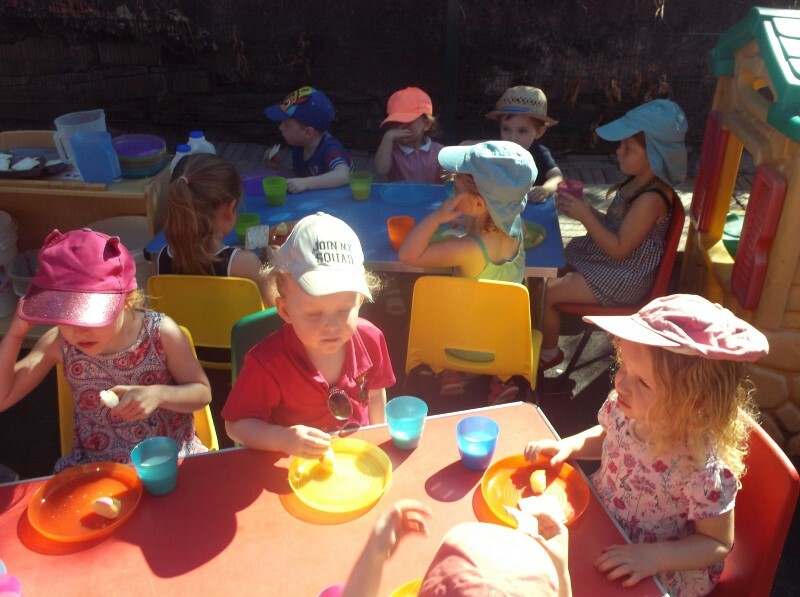 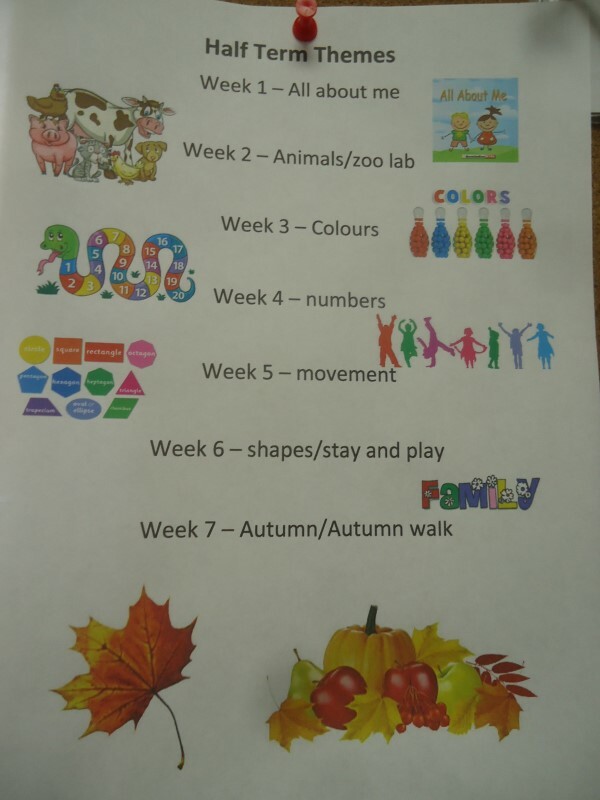 This entry was posted in Half Term Updates on 12th September 2018 by Mel Healey. 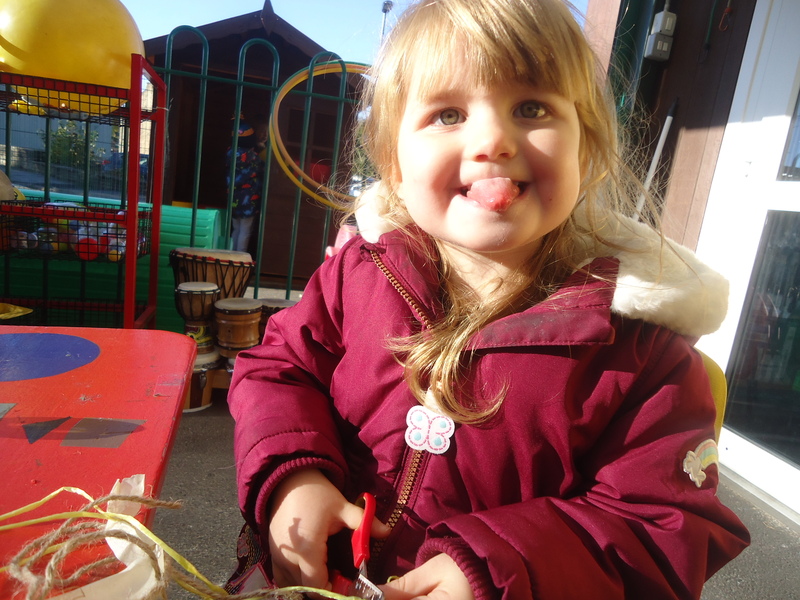 We are keen on improving the way we interact with children and support their language development. 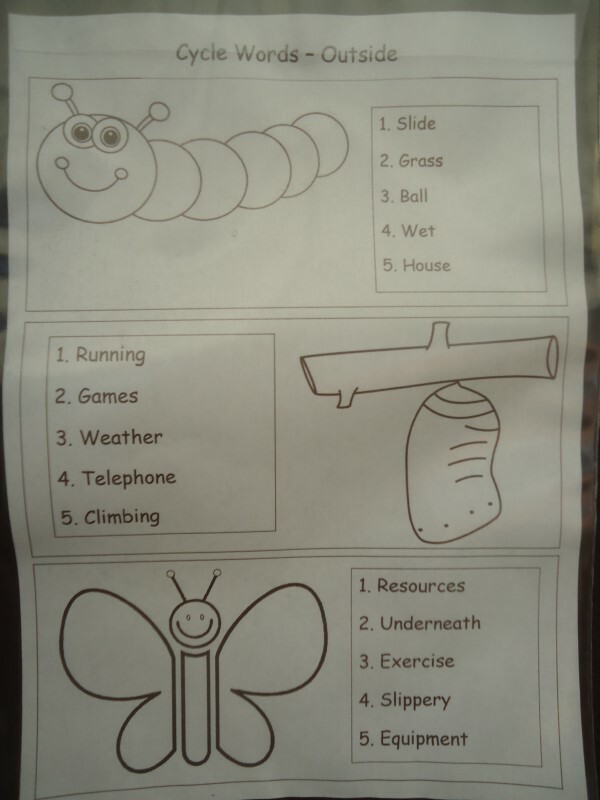 We have introduced a few new ideas as part of the training for CFS and looking forward to sharing more with you. 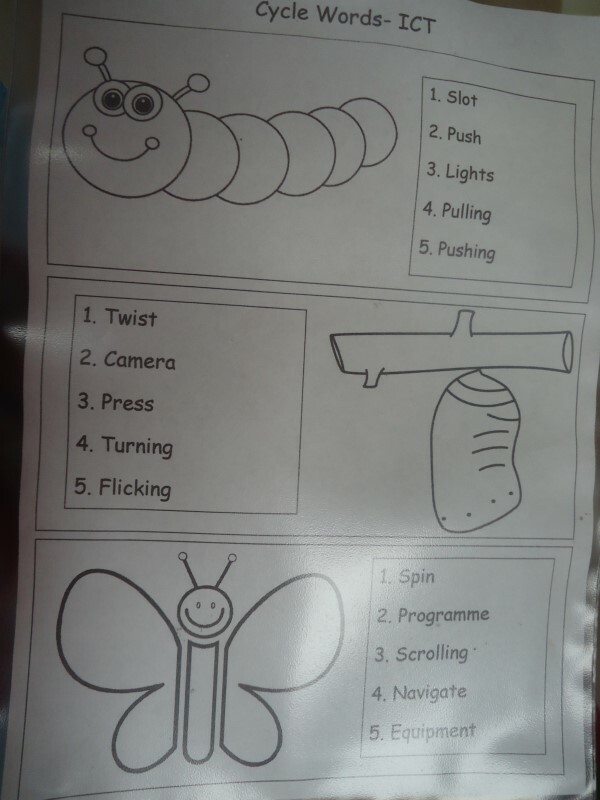 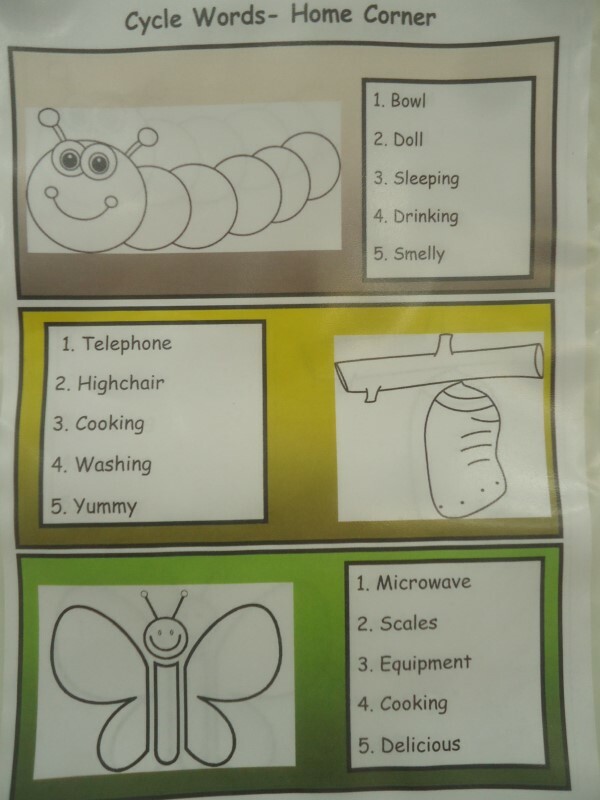 We also work hard to provide stimulating vocabulary for the children at the setting, we have created “Cycle Words” for each of our learning areas. 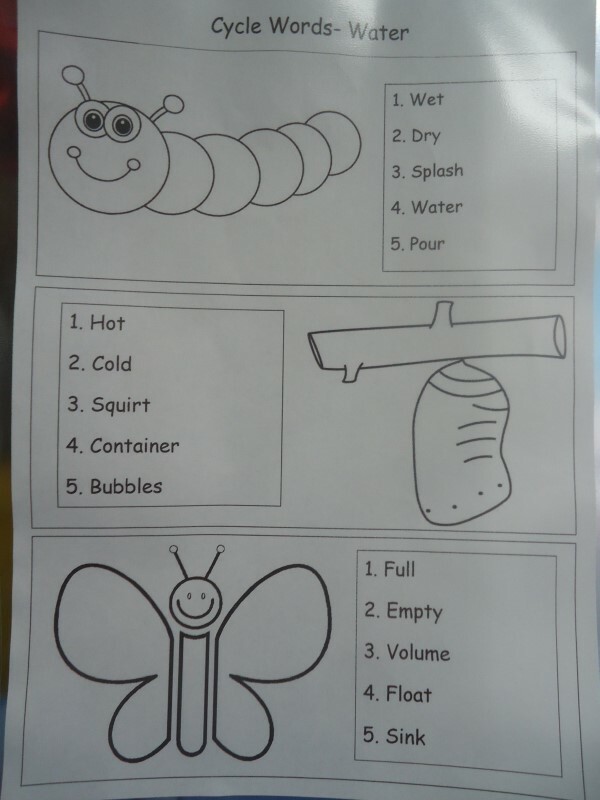 These help your child build on their vocabulary and gives them the ability to apply words in different situations and develop their communication. 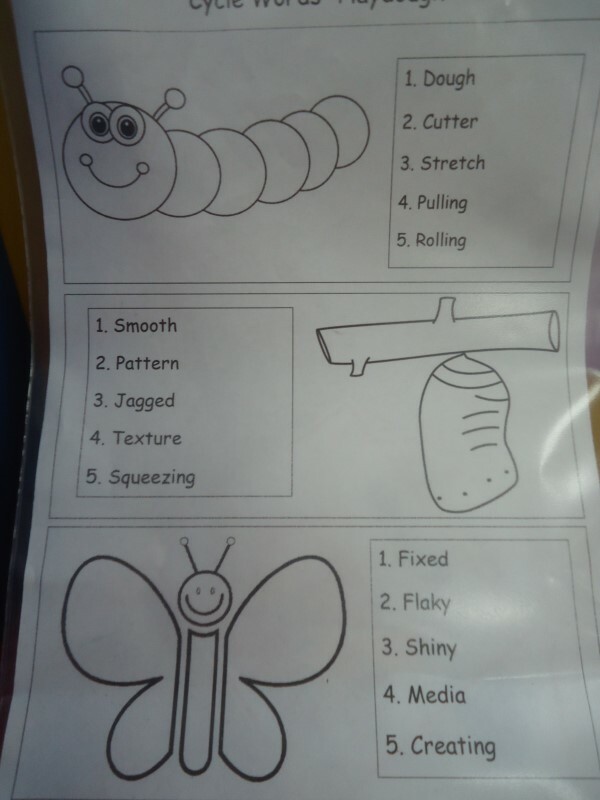 Feel free to use these words at home to maximise their usage and please let us know how you are getting on. 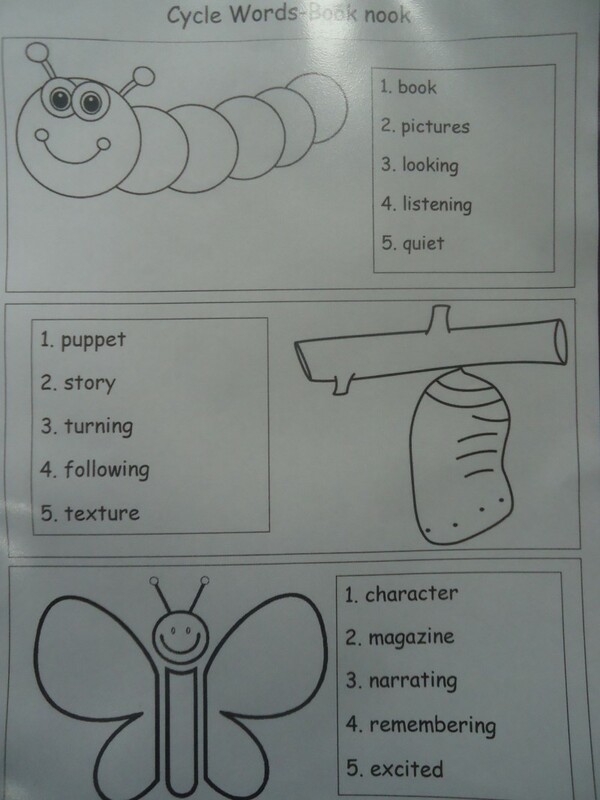 Here are some examples of this half term. 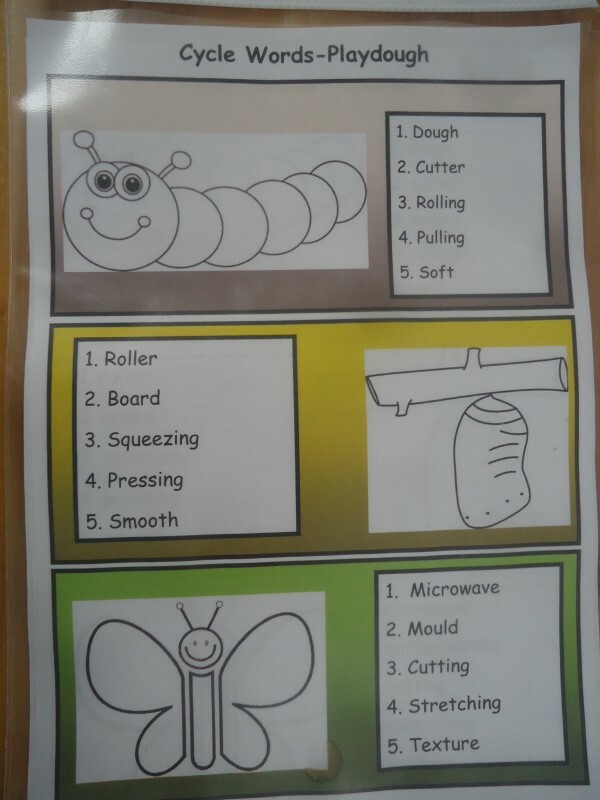 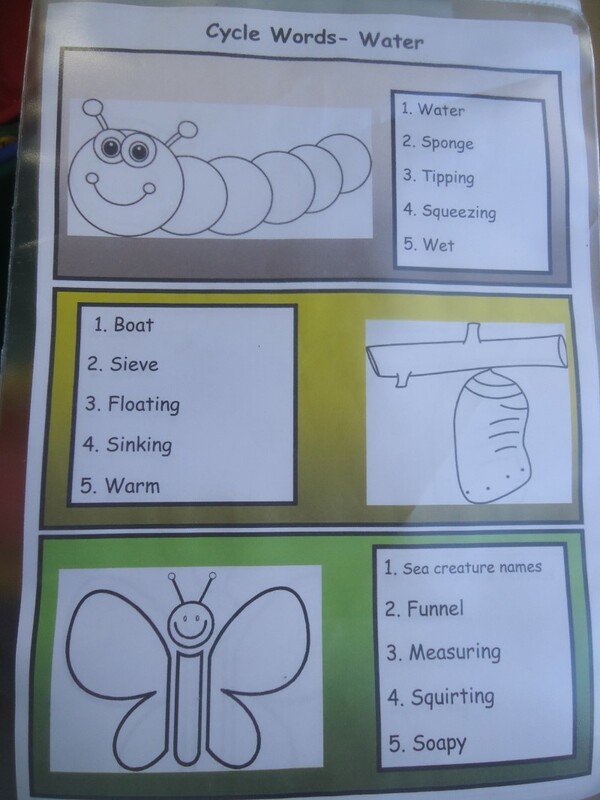 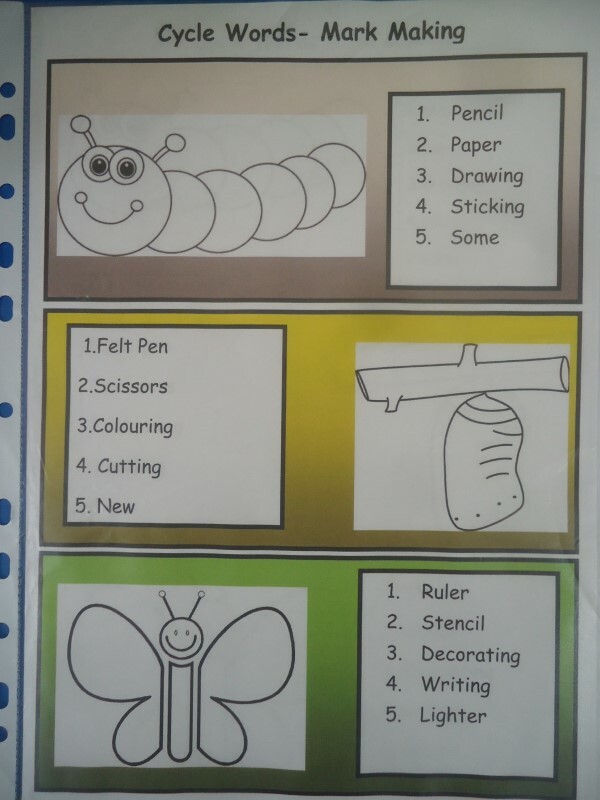 This entry was posted in Learning areas on 6th July 2018 by Mel Healey. 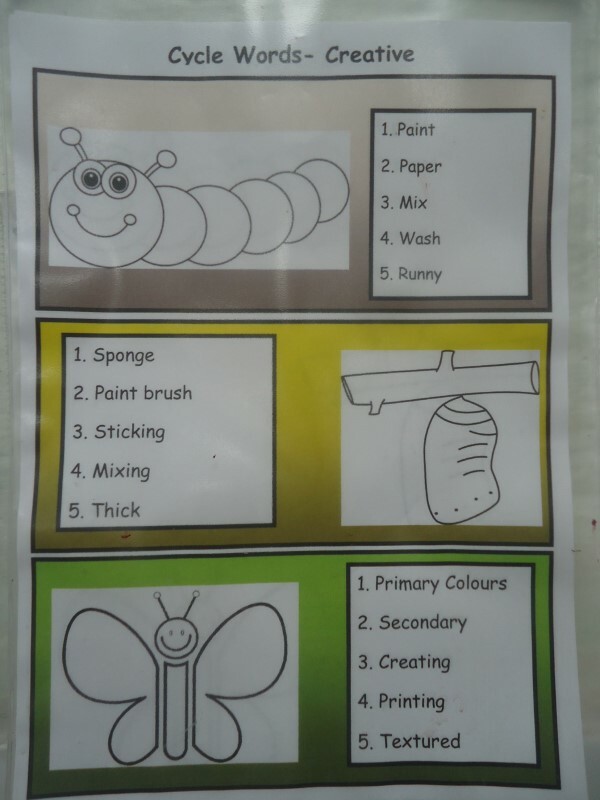 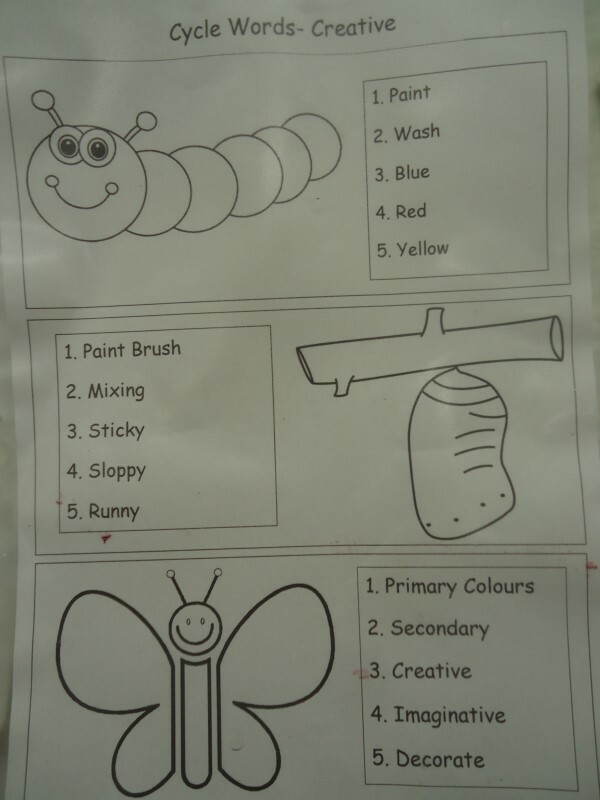 We are working towards becoming Communication Friendly Setting and have been working hard on making our environment better, by differentiating for children age/stage of development and also providing children with a rich variety of resources to stimulate their play and their holistic development. 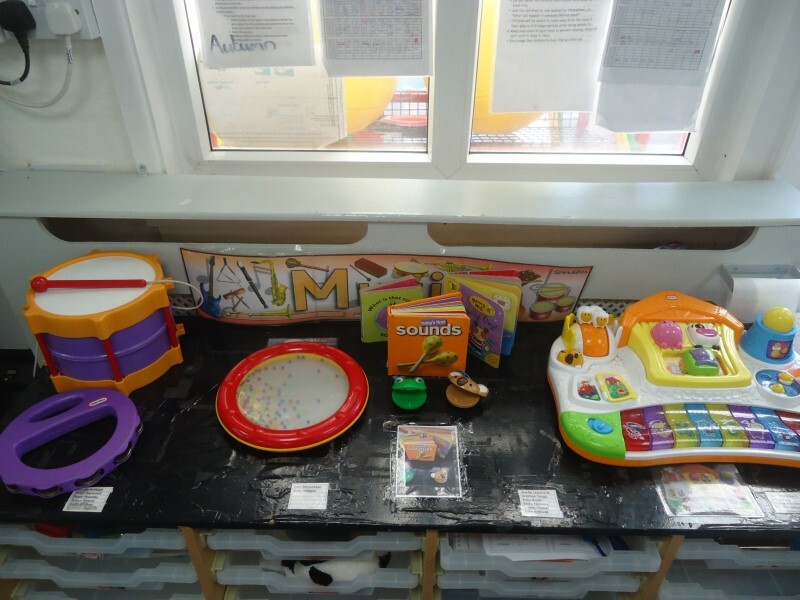 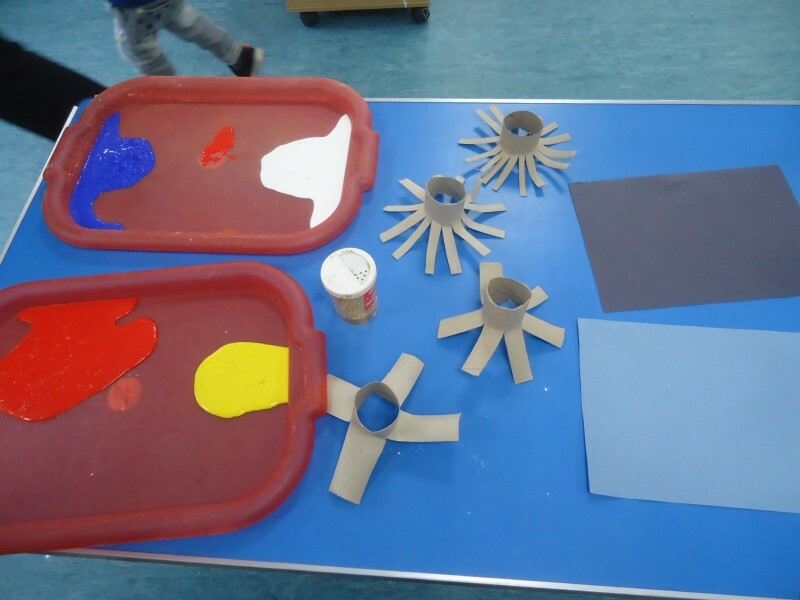 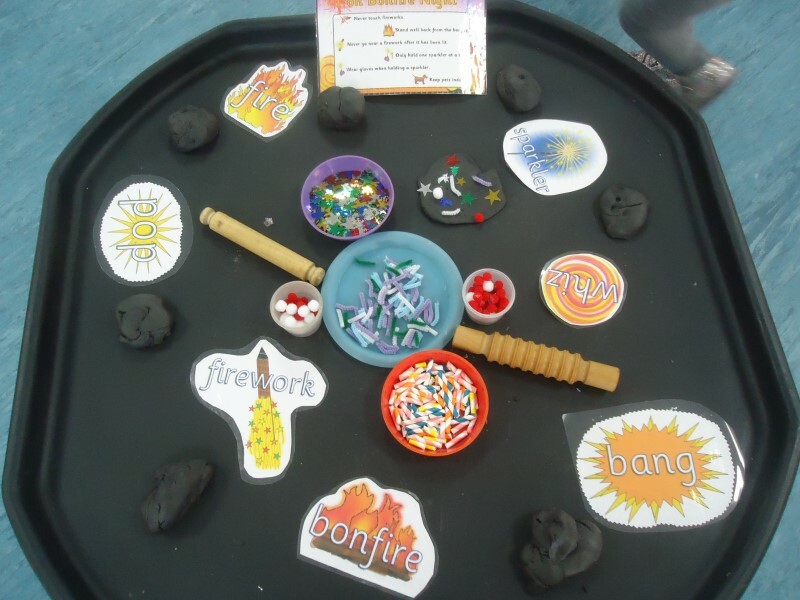 This is a selection of pictures, from this half term that shows the resources available to your child. 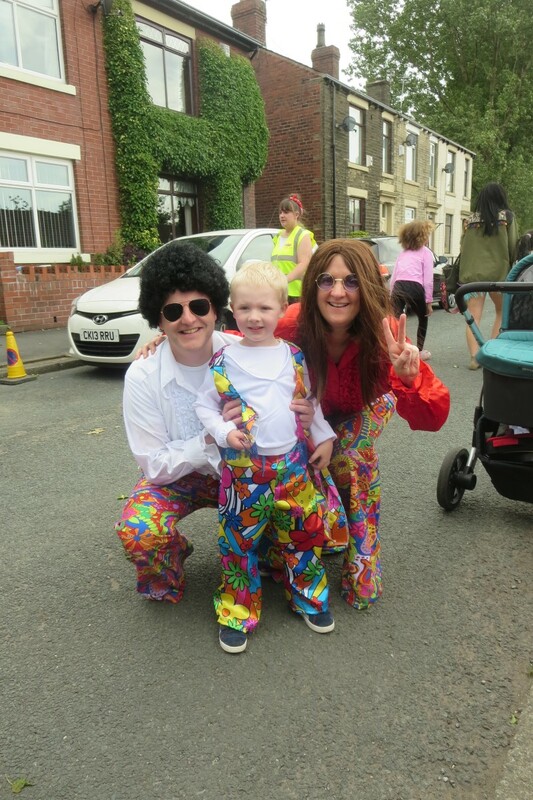 Yesterday we had the pleasure of celebrating Auntie Lin’s 60th Birthday! 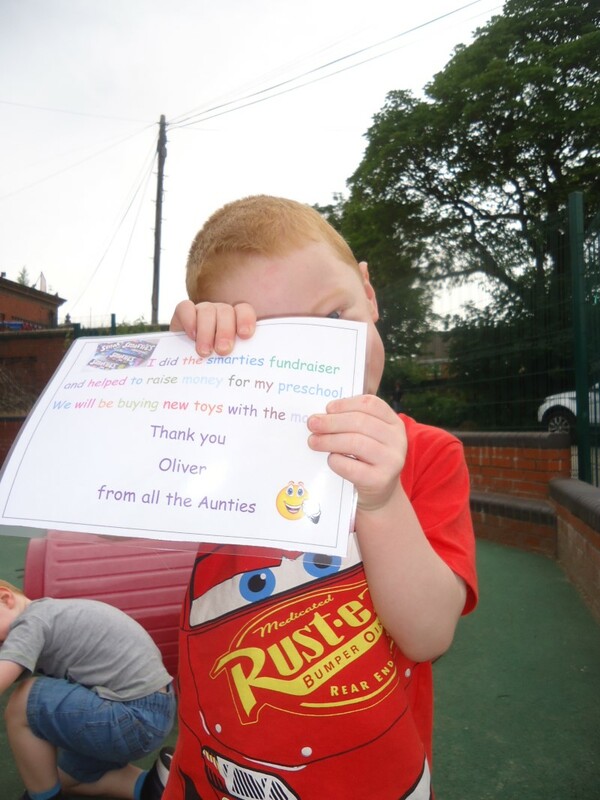 Auntie Lin was showered with gifts from staff old and new and some of our lovely parents also brought gifts in. 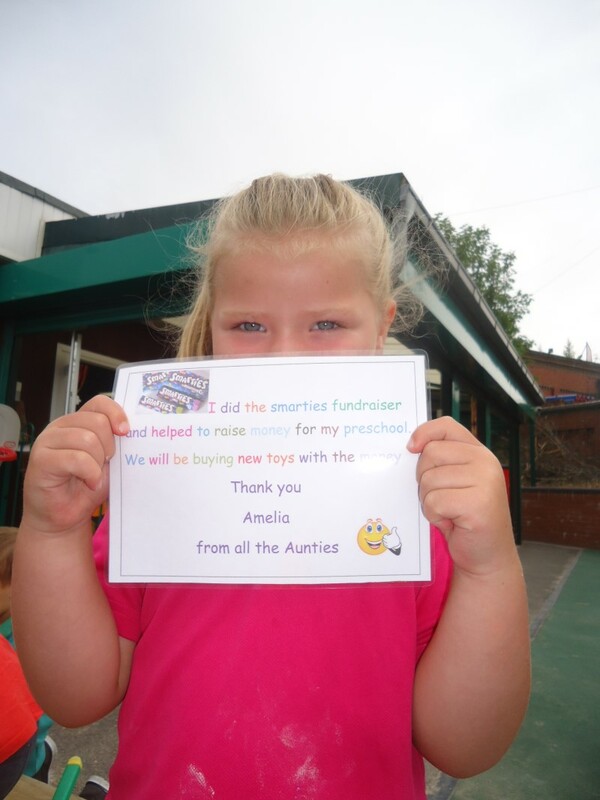 Auntie Lin’s wants to say a big THANK YOU to you all! 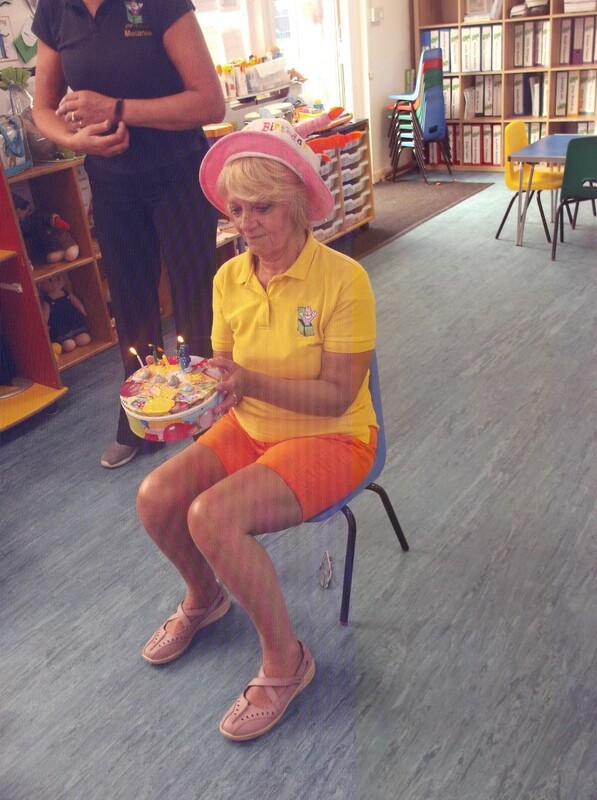 This entry was posted in Birthday on 28th June 2018 by Mel Healey. 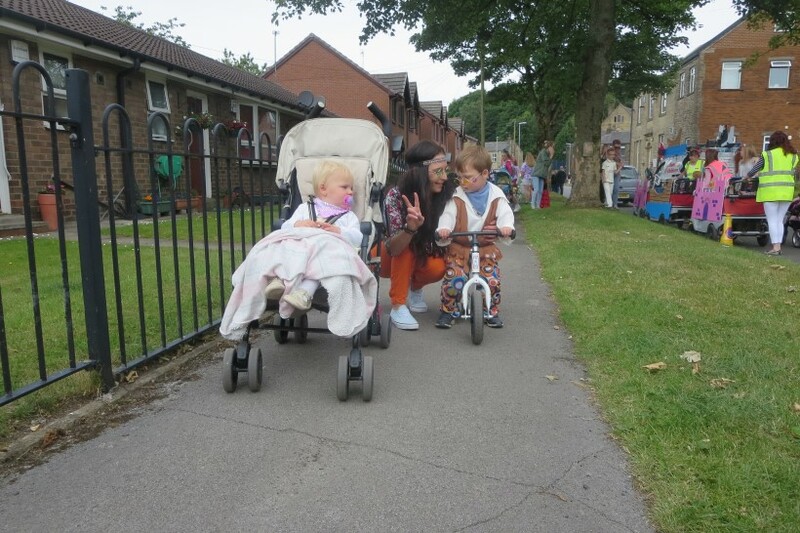 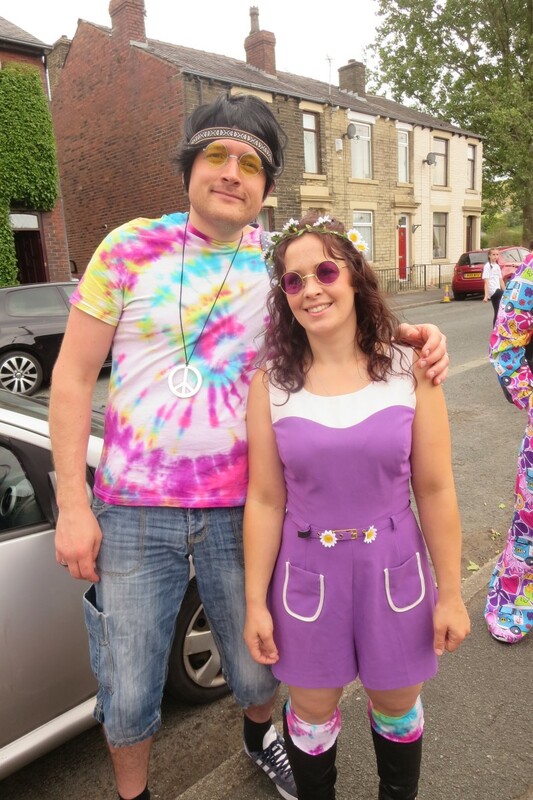 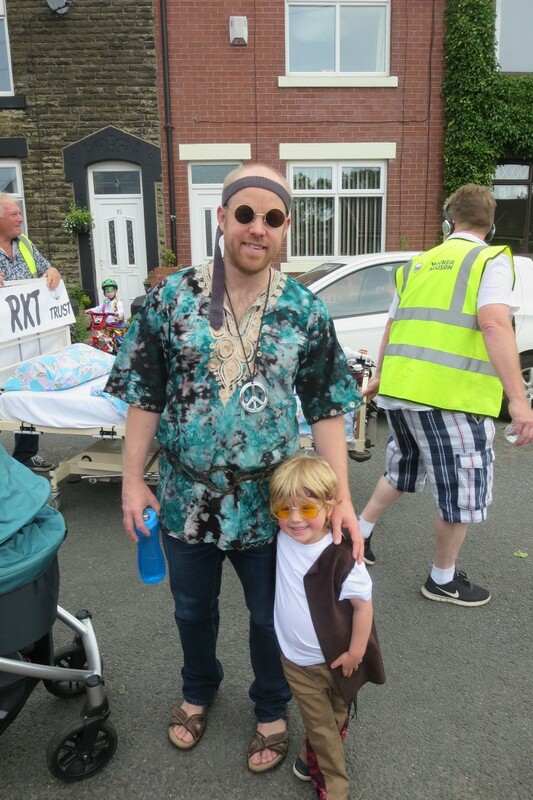 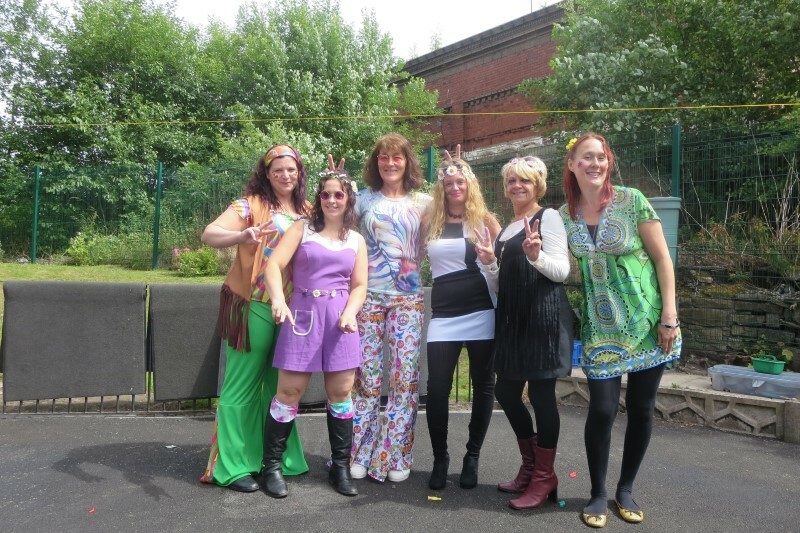 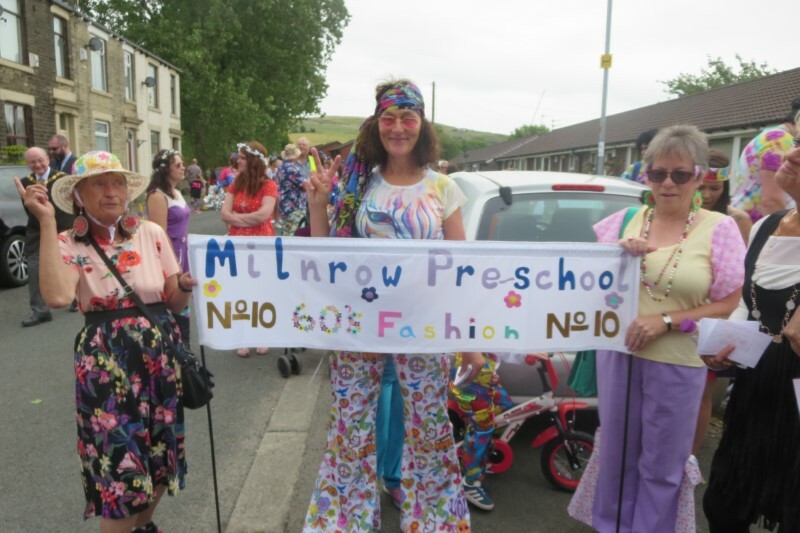 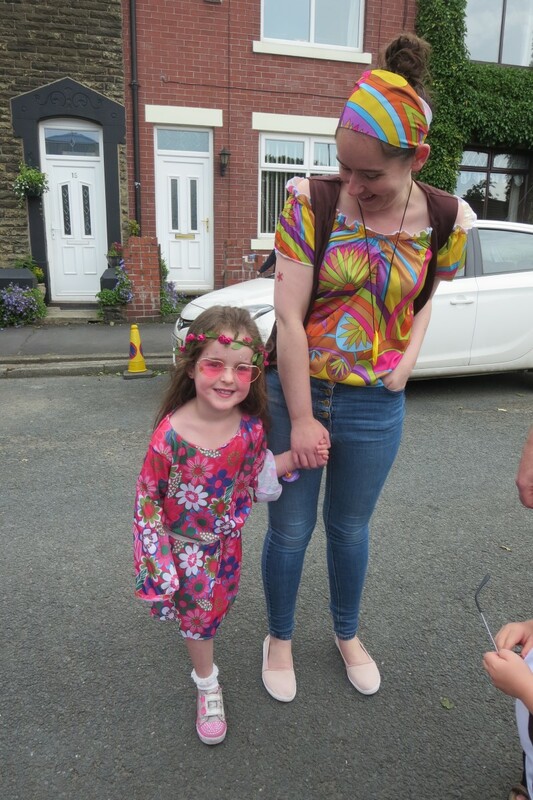 Saturday 23/06/18 We attended Milnrow District Carnival once again and had a ‘Groovy time’ in our sixties fashion outfits! 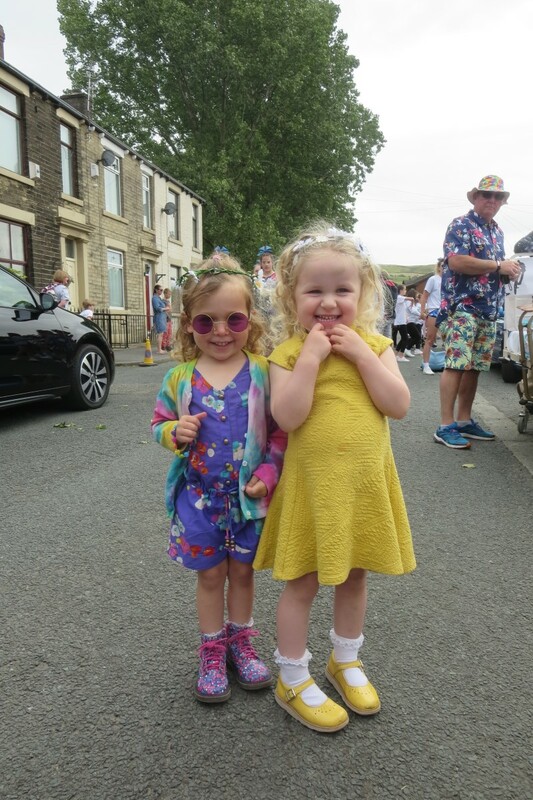 To see more of fabulous photo’s visit us on facebook. 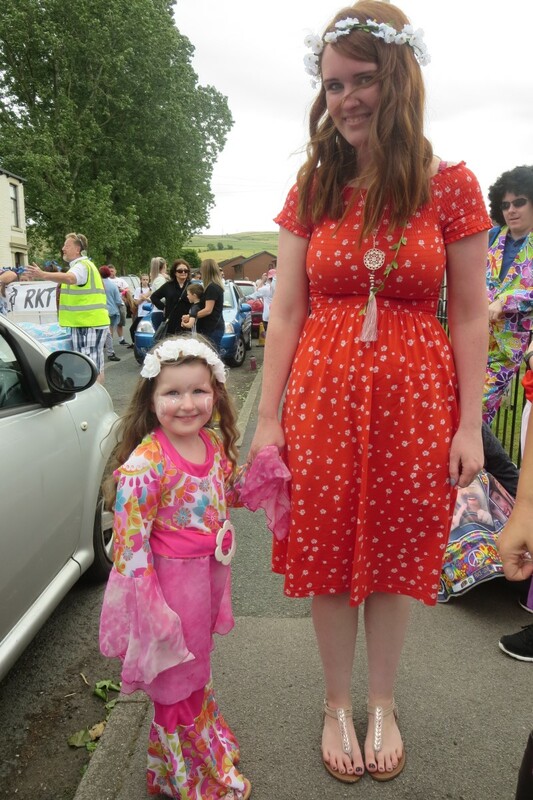 Here are a selection from the day, Enjoy! 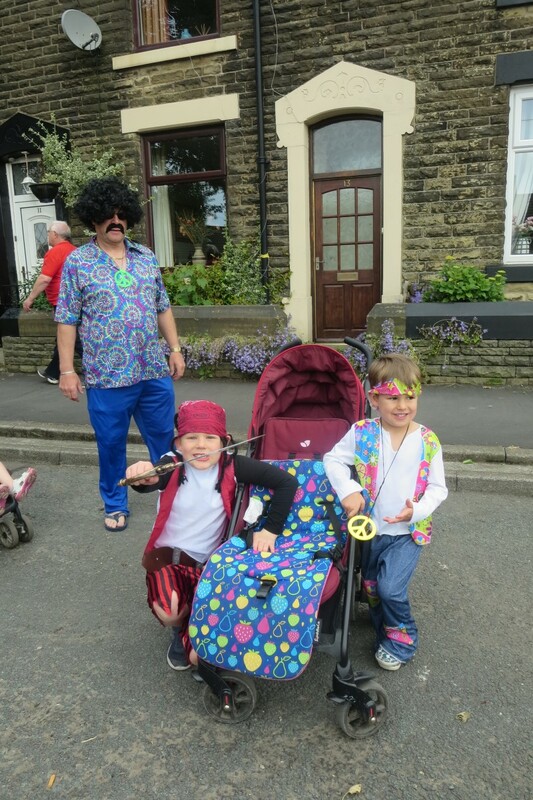 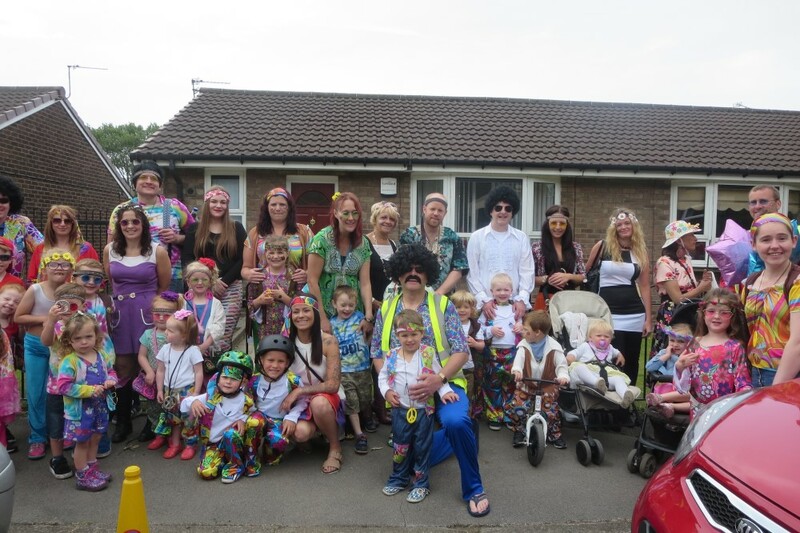 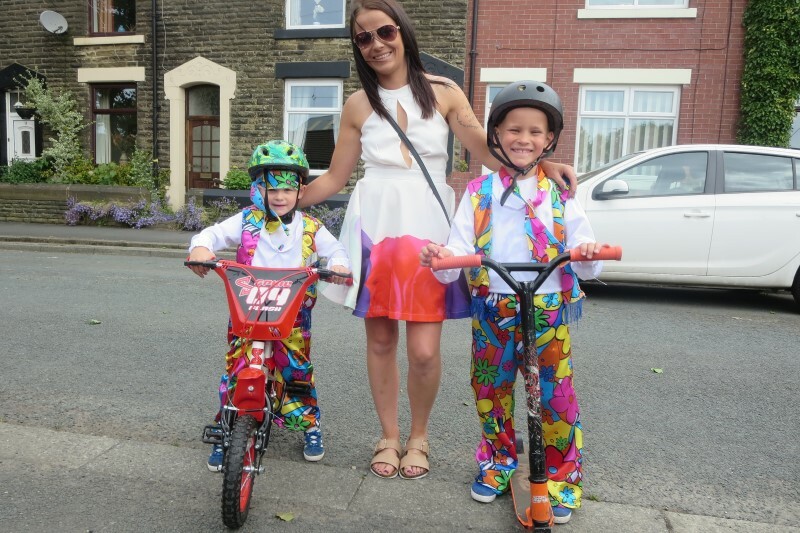 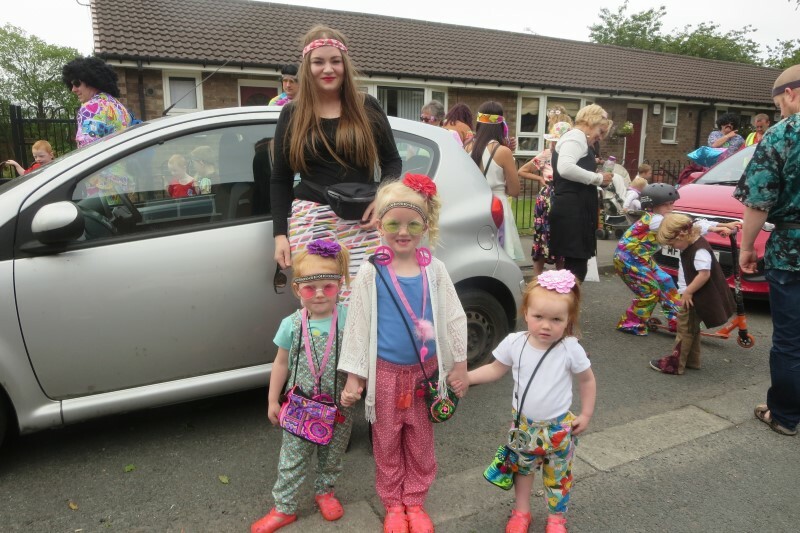 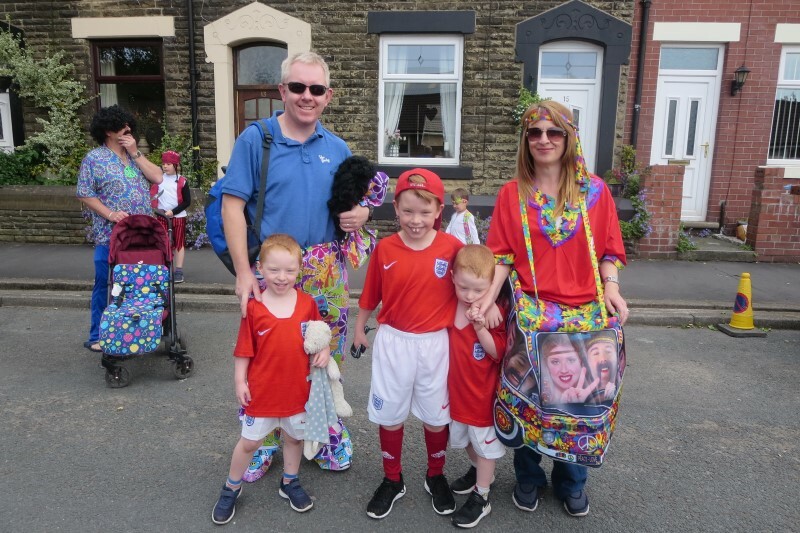 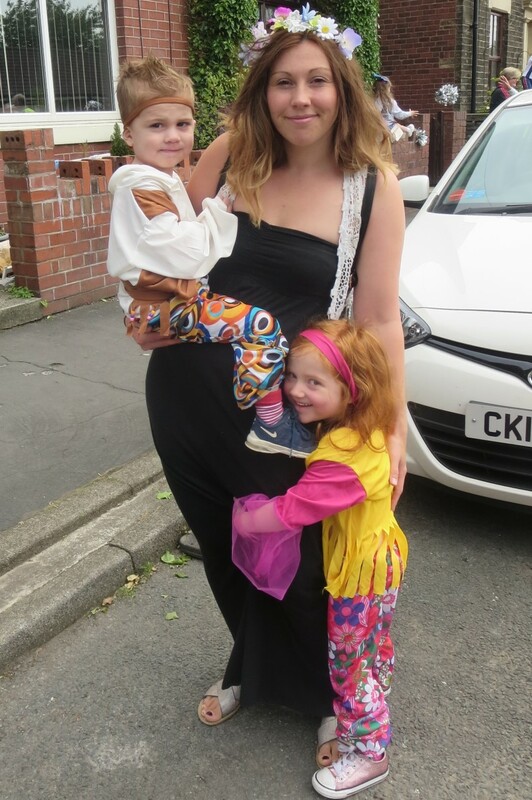 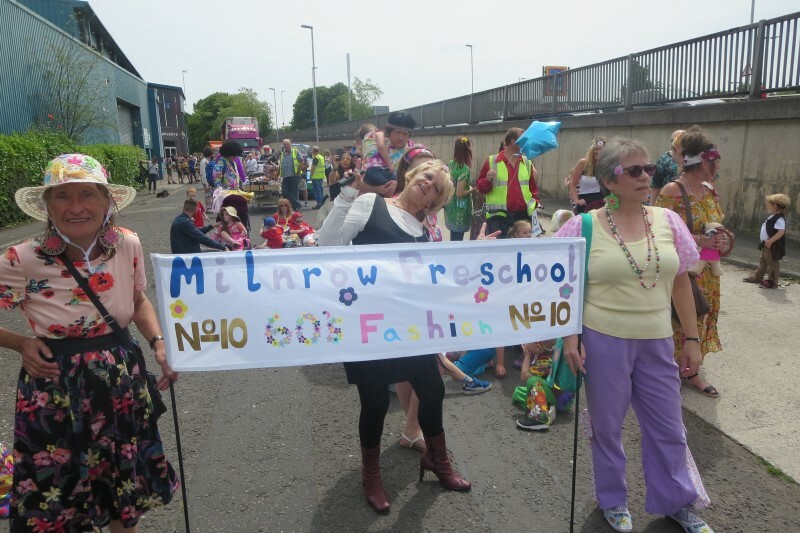 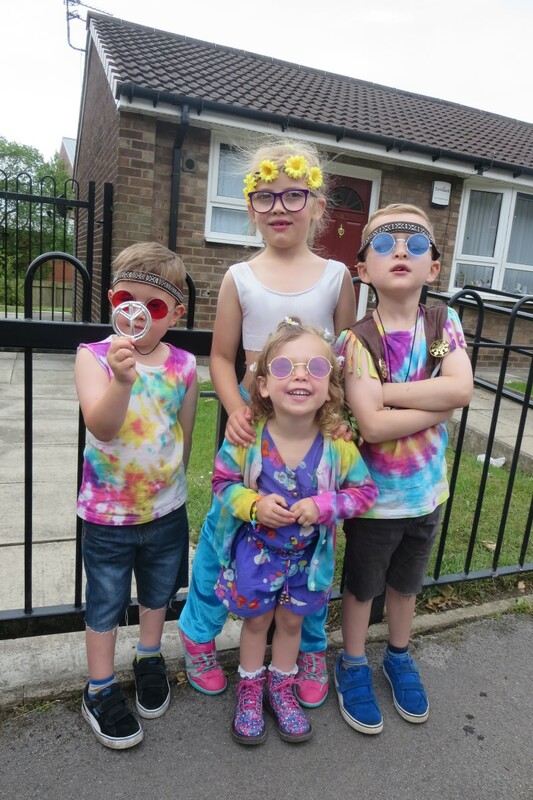 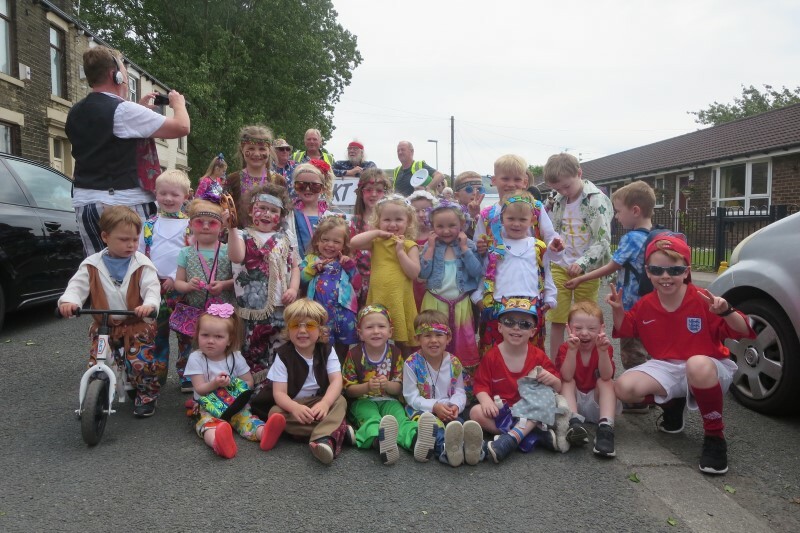 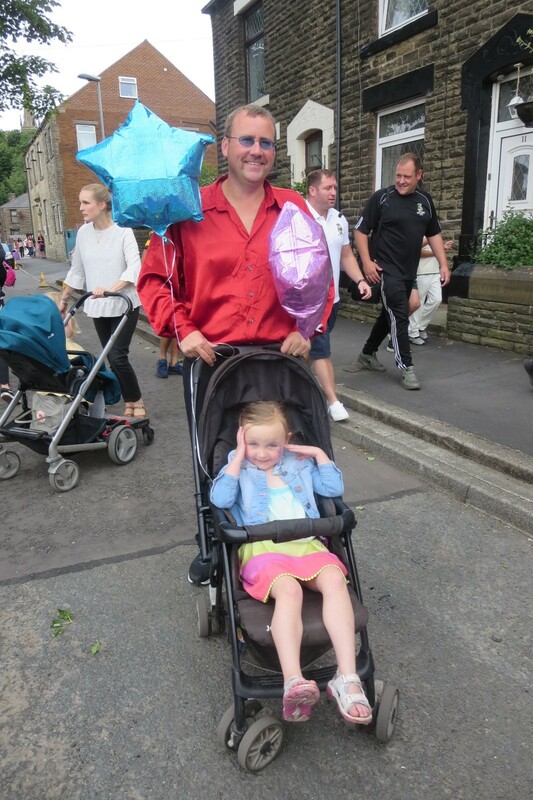 This entry was posted in Carnival, Fancy dress and Parties, Out and About on 25th June 2018 by Mel Healey. 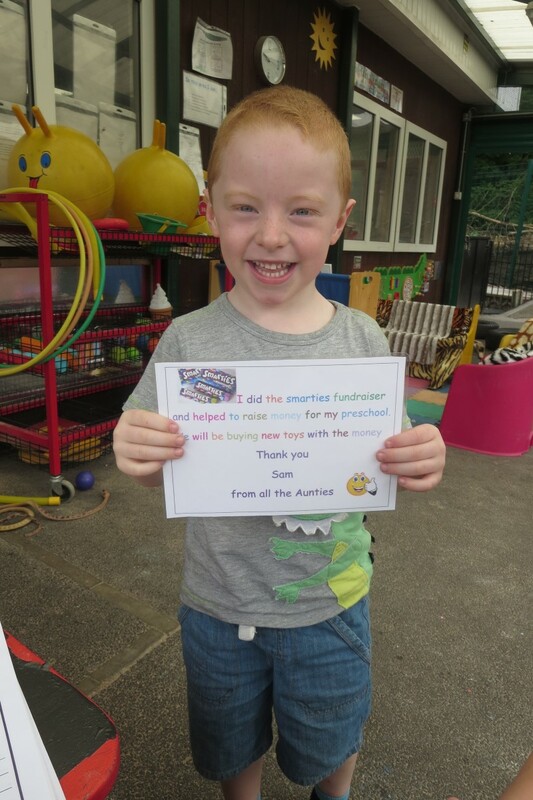 Thanks to all the parents who took part in the Smarties fundraiser! 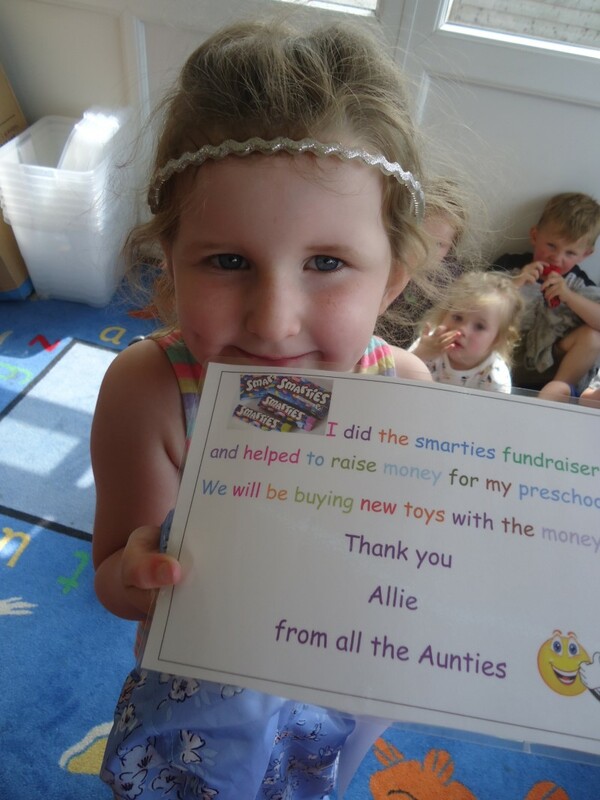 With your support and generosity we managed to raise £206, preschool doubled this to £400 and bought some lovely new resources. 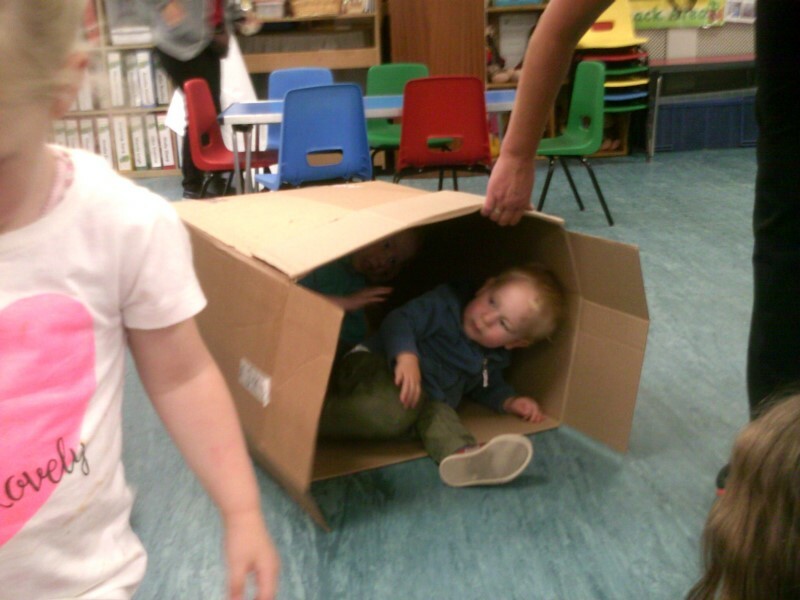 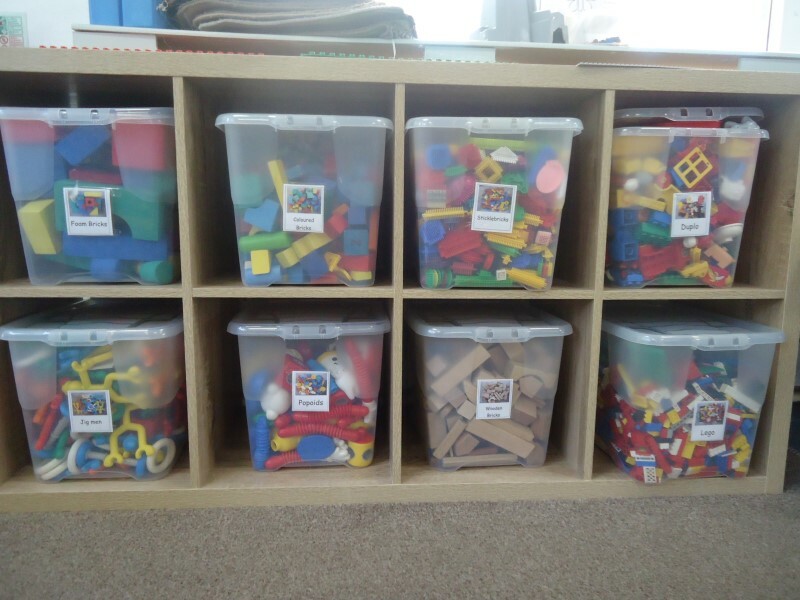 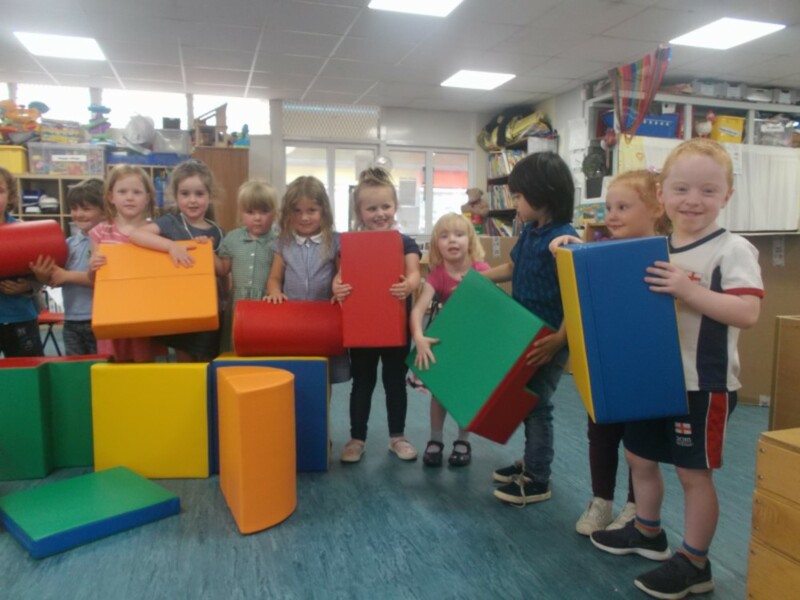 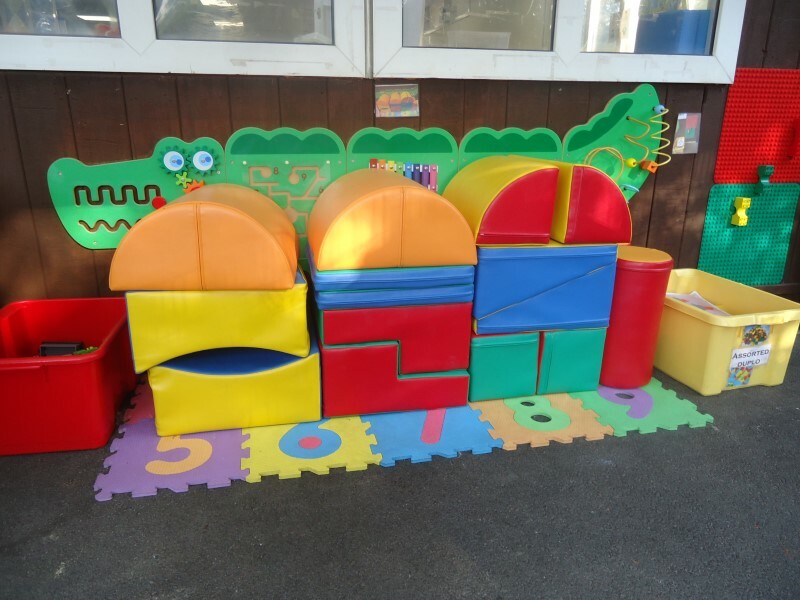 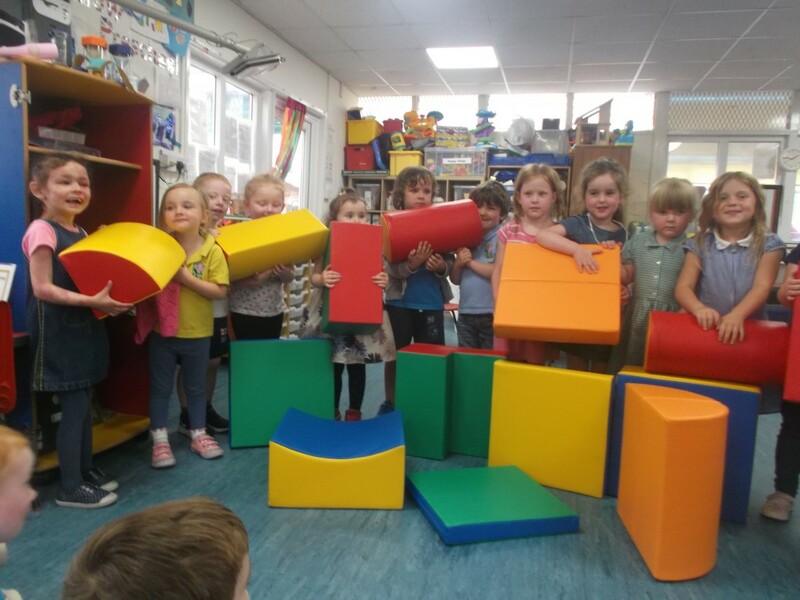 6 Talking tiles for letters and sounds activities and 2 huge sets of soft play building shapes for the outside area, that the children have absolutely loved, including the box! 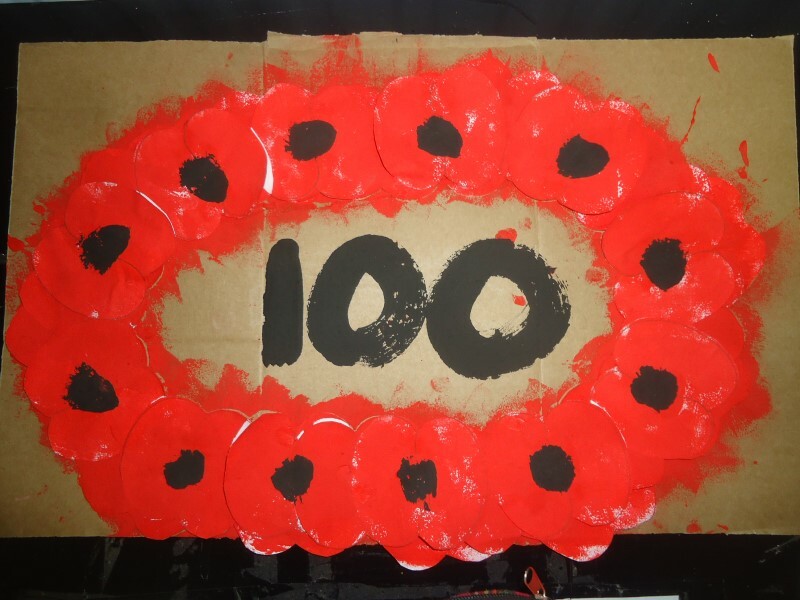 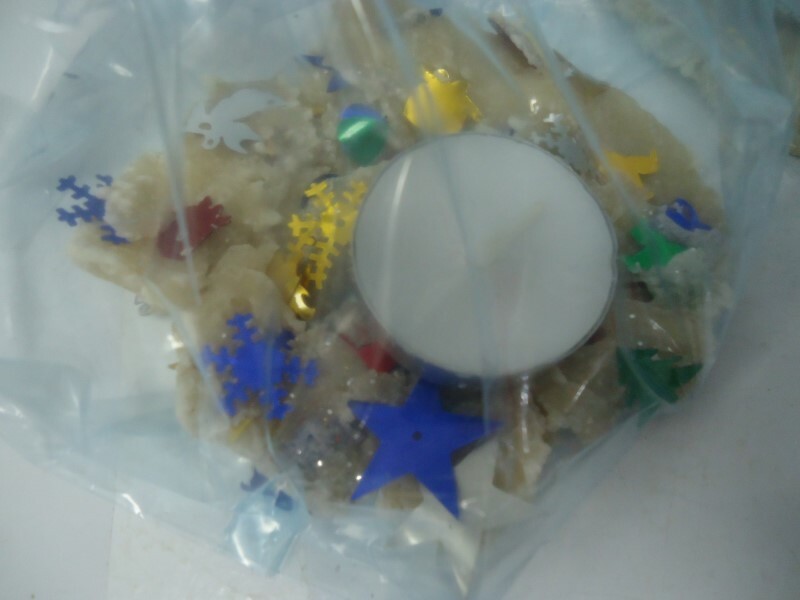 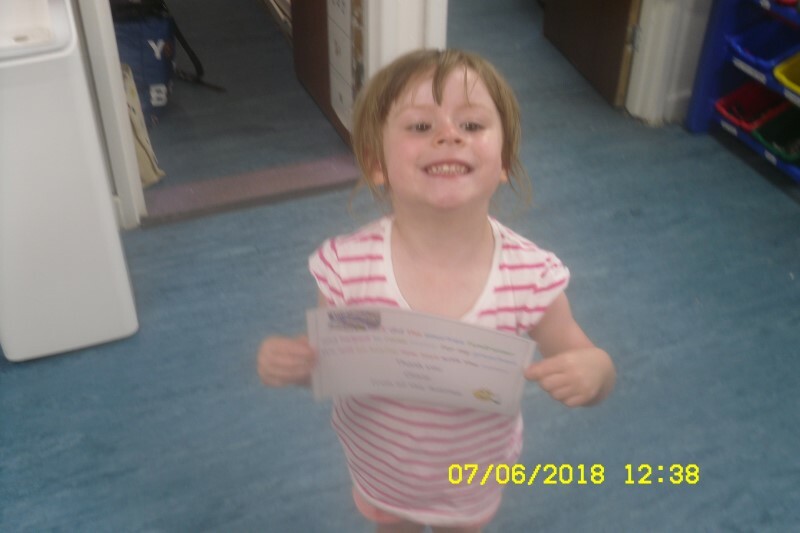 This entry was posted in Fundraising on 25th June 2018 by Mel Healey.